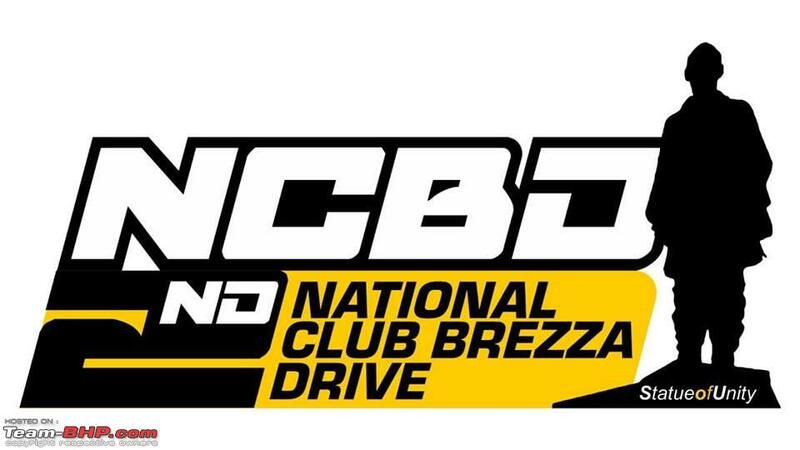 December and January are two prefered months to plan a meet or drive for like-minded people. 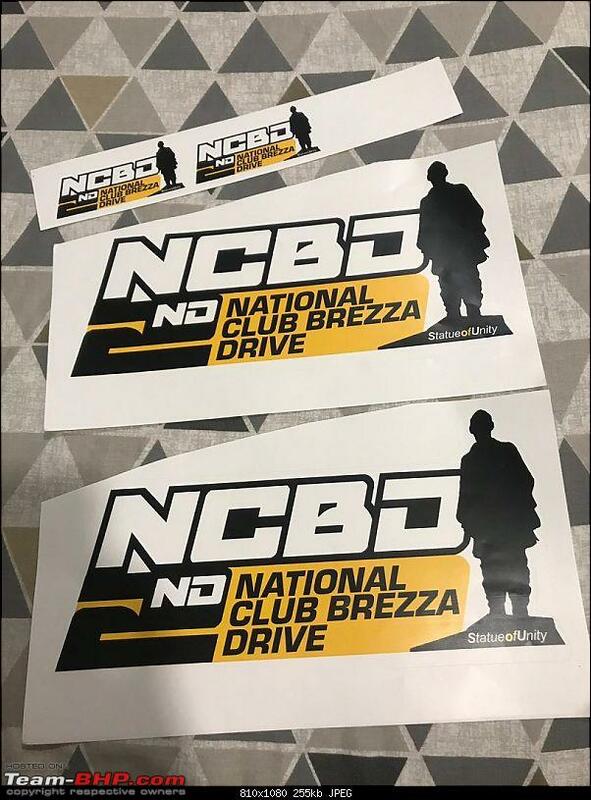 ClubBrezza's co-admin Mr Mohd. Parvez came up with a location and dates. 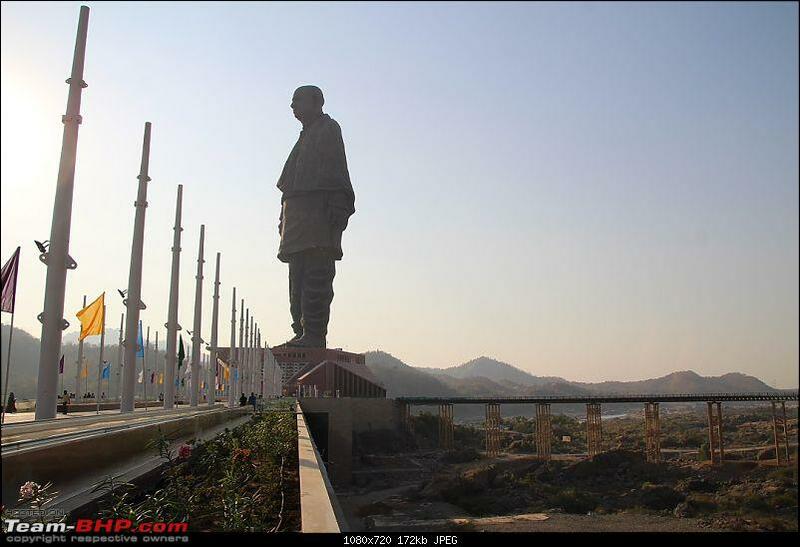 The Location for the drive was Statue of Unity-Tallest Statue in the World, Kevadiya, Gujarat and dates were 21st to 24th Dec. 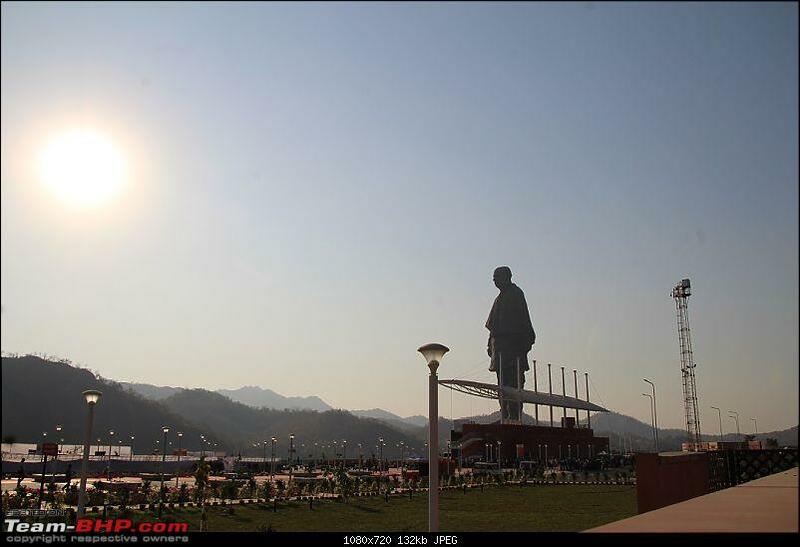 Statue of Unity is a perfect symbol for a national club. 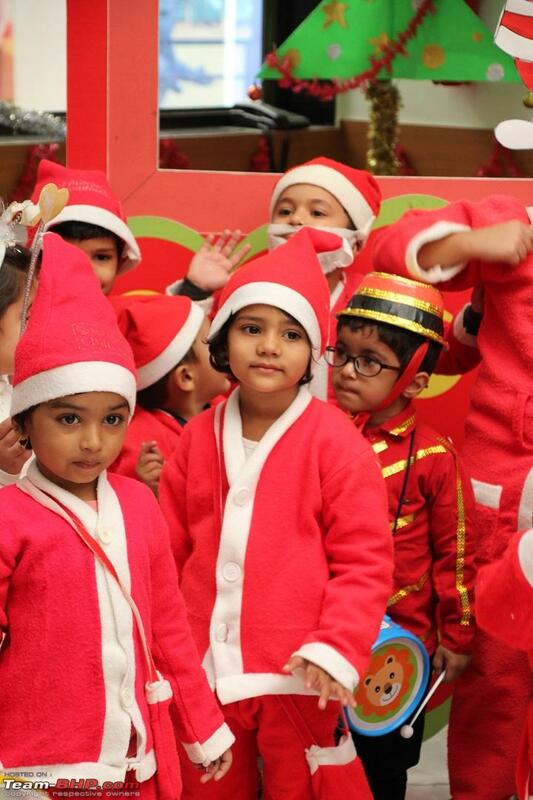 The members of the club are from different cultures, religions, caste, creed, languages and different states. However, all these members are united/connected with each other in the name of the car they own. 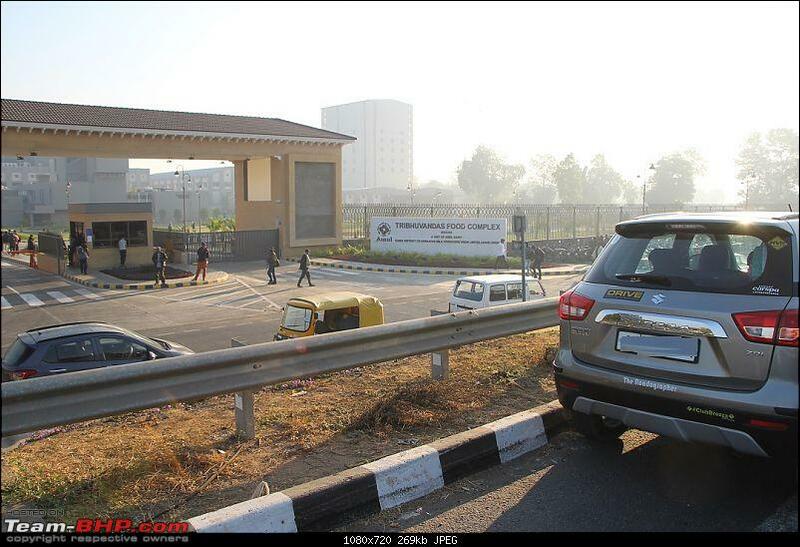 Maruti Suzuki Vitara Brezza. Dates and location were finalized, the same was published on FB page and WhatsApp group. 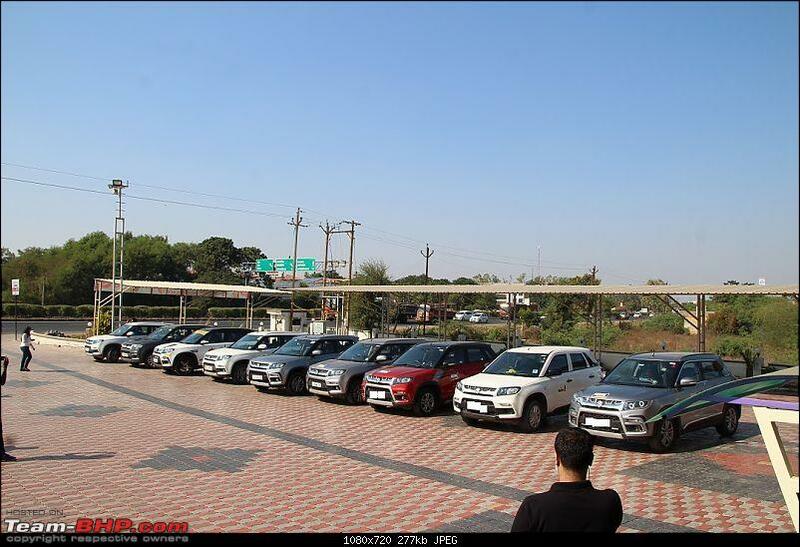 Brezza owners from different states like Punjab, New Delhi, Uttar Pradesh, Maharashtra, Gujarat etc. started enrolling for the drive. 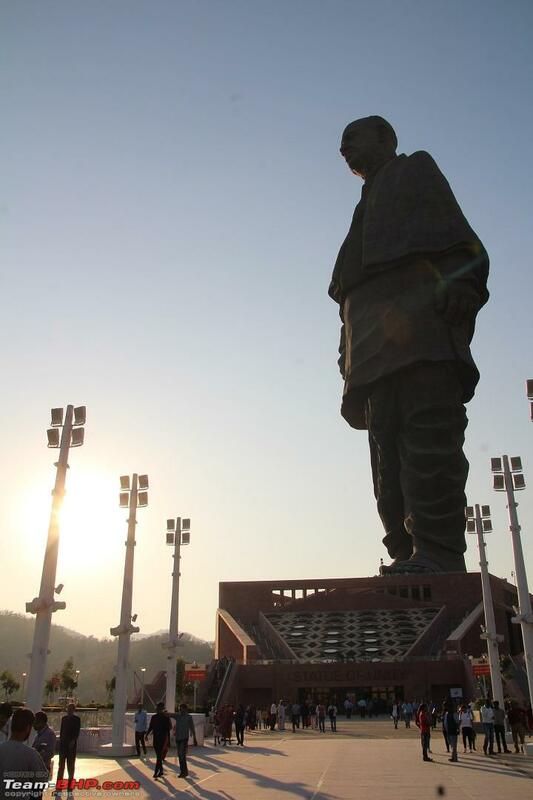 Most of the members were coming to Gujarat from different states. 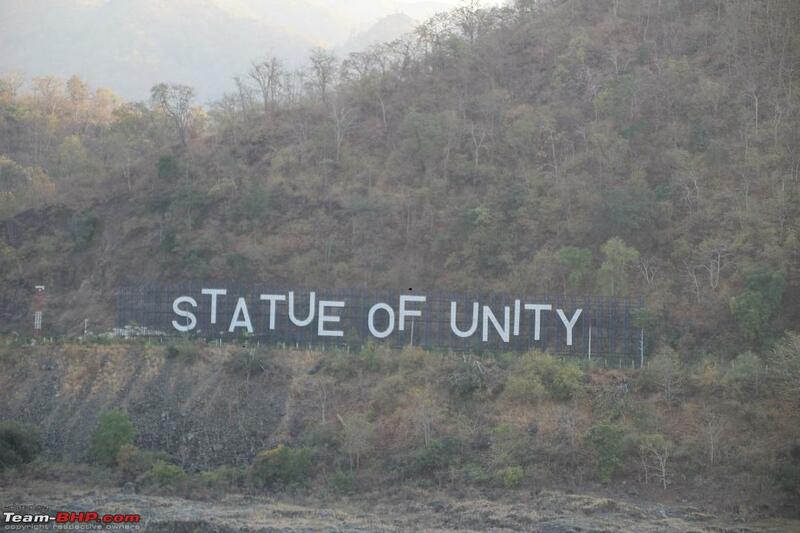 They were encouraged to plan visits of Daman, Diu, ROK kind of places after a get together at Statute of Unity. 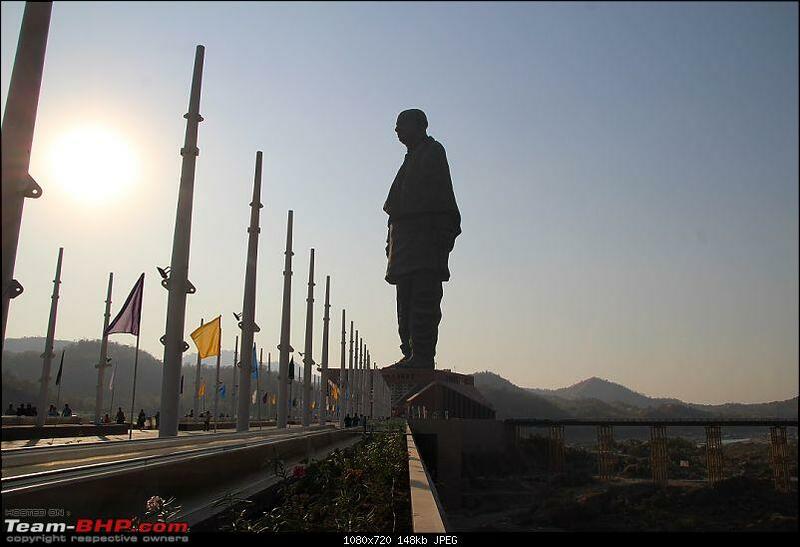 Statue of Unity is situated 100kms far from my hometown. I enrolled myself for 22nd Dec. for the drive to SOU. 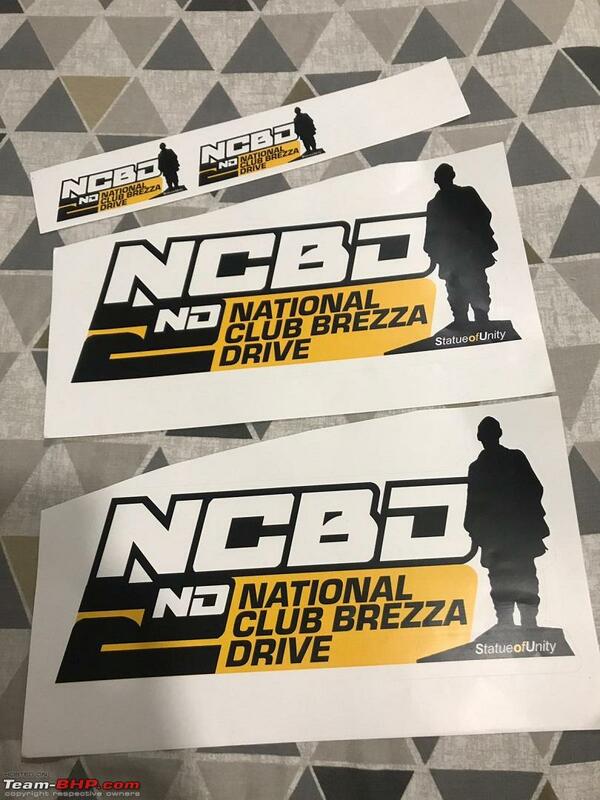 Admin team came up with an amazing sticker for the drive. 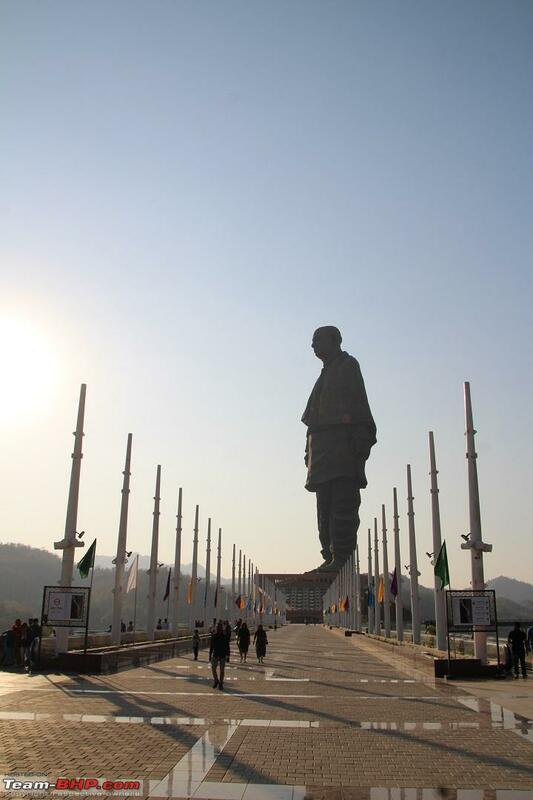 "Statue of Unity" The World’s Tallest Statue, 182 Metres. The one who won over British leaders in the Satyagraha of Kheda and Bardoli, Sardar Vallabhbhai Patel was the Bismarck of Modern India, who led the welfare of farmers. 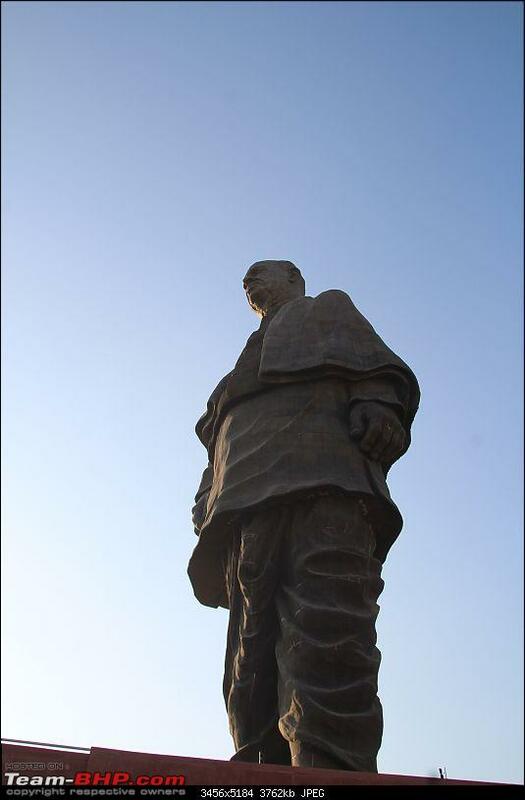 He is renowned as the architect of independent India, as he united all diverse 562 princely states to build the one great Republic of India. 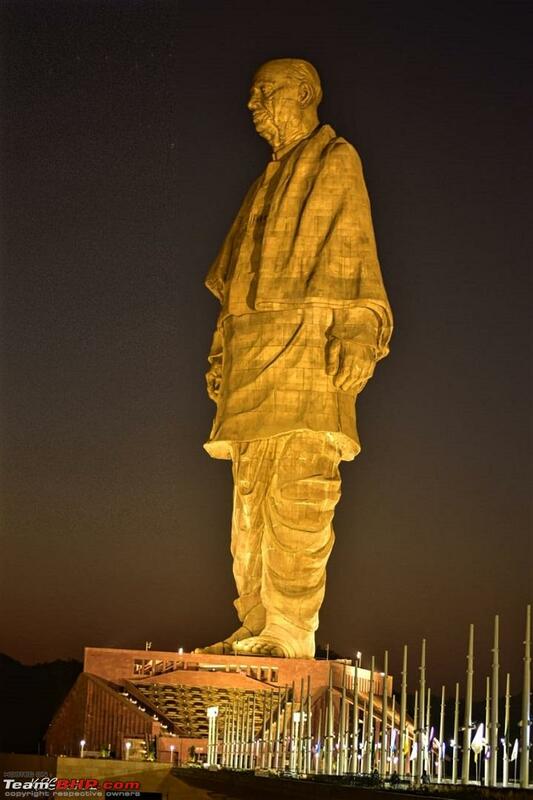 Shri Narendra Modi decided to pay the honourable tribute which will be cherished for centuries by the whole world and it will become a matter of pride for every Indian for this great man. 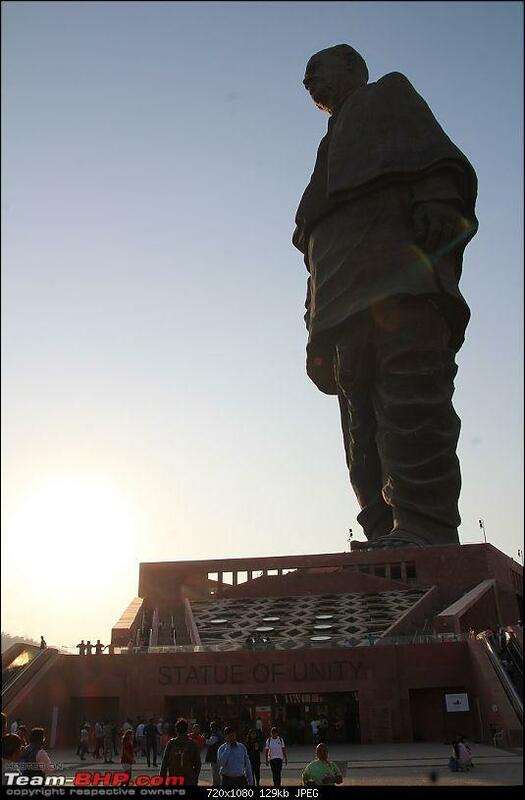 Built in less than five years, it is the world’s tallest, grandest and giant statue. 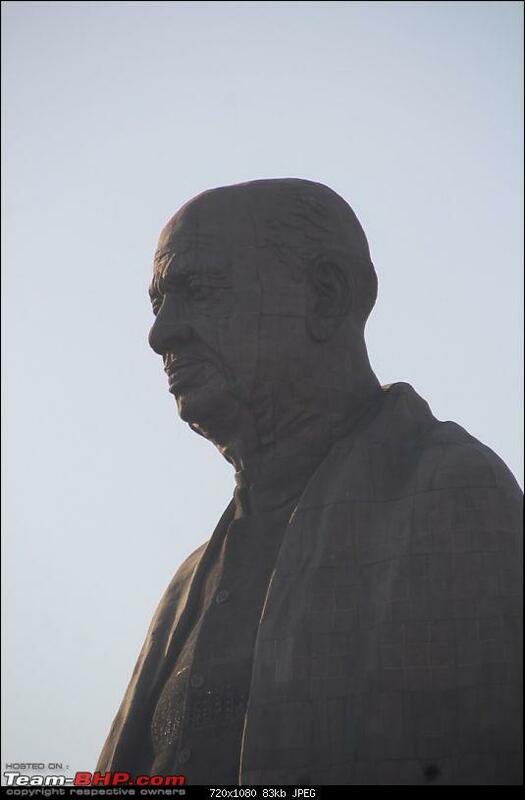 It is a tribute to the man who united India, Sardar Patel. 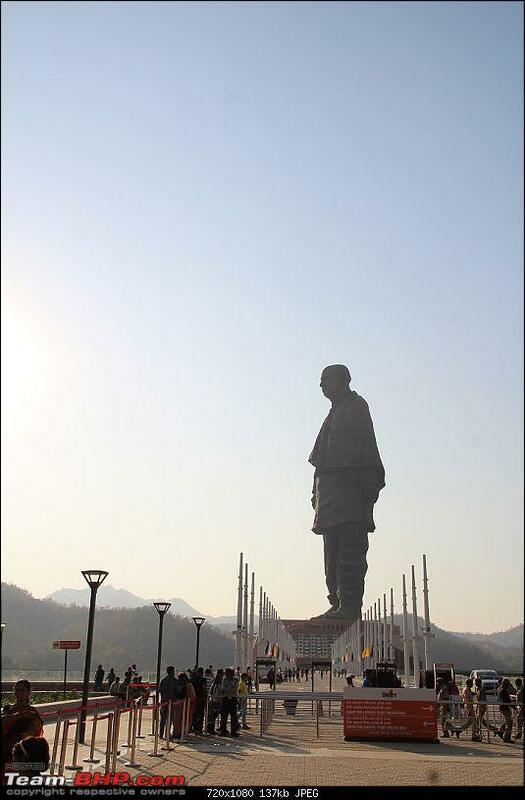 An iconic 182 meters tall statue, a tribute to the Iron Man of India, is built at the Sadhu-Bet Island, approximately 3.5kms south of Sardar Sarovar Dam at Kevadia in the Narmada district of Gujarat This inspiring memorial site, with a number of edutainment components, is located between the Vindhyachal and Satpuda Ranges rising weir Narmada River, impounded by Garudeshwar, the Sardar Sarovar Dam and the town of Kevadia. 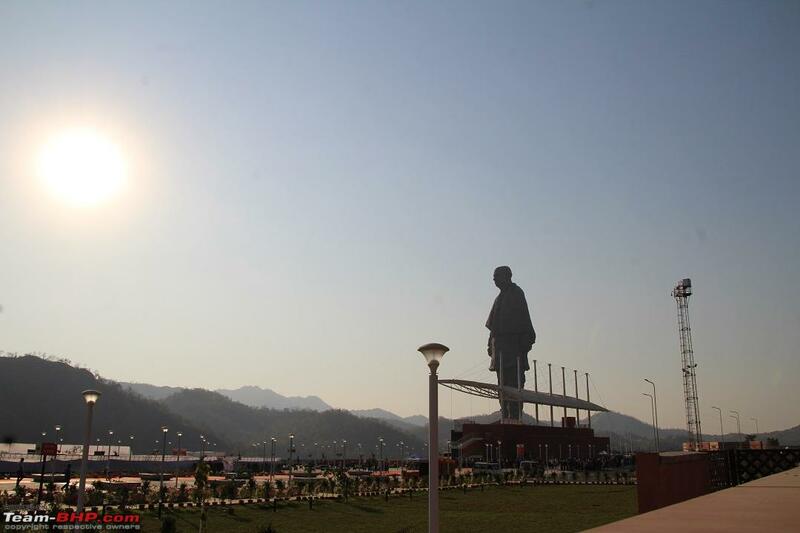 The majesty of this grand monument will be enhanced by a picturesque backdrop. 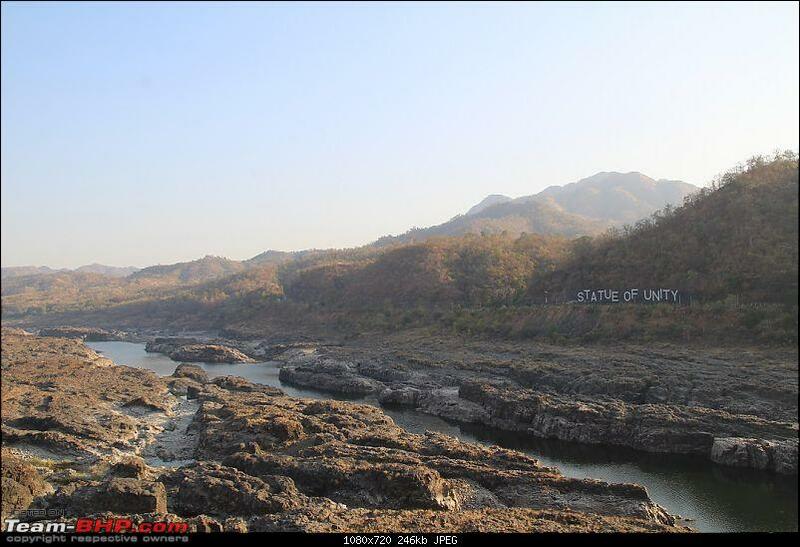 Its unique location will prove to be beneficial for eco-tourism and regional development. Sophisticated state of art technologies like Light Detection and Ranging Technology and Telescopic logging to assess rock joint is adopted. Last edited by SJM1214 : 26th December 2018 at 12:10. 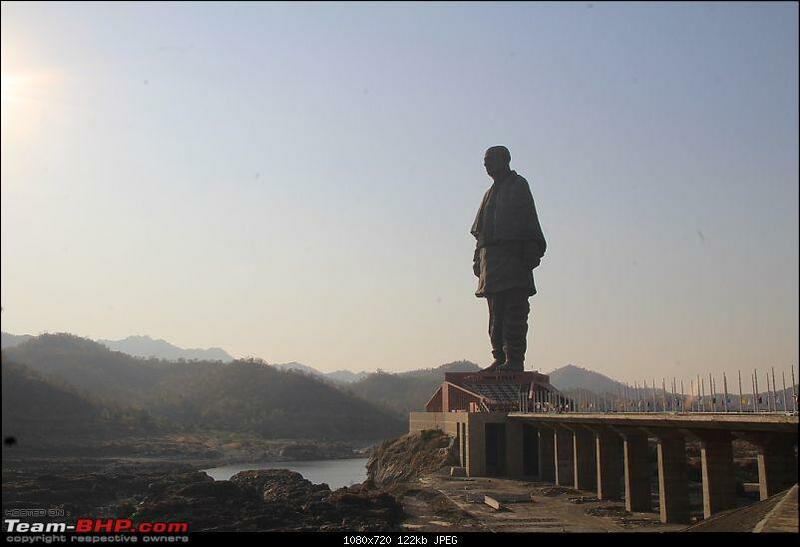 Re: A visit of Statue of Unity : ClubBrezza Drive. 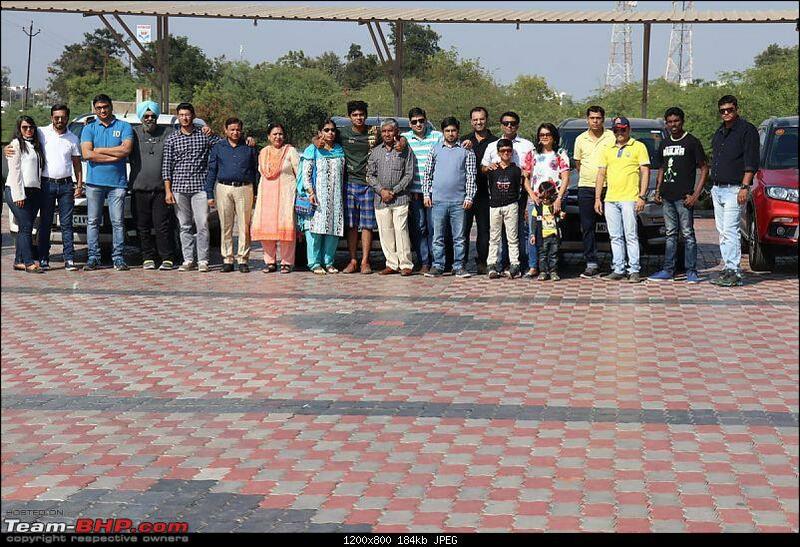 Club Members were driving to Gujarat from Punjab, Delhi, Bangaluru, Mumbai. 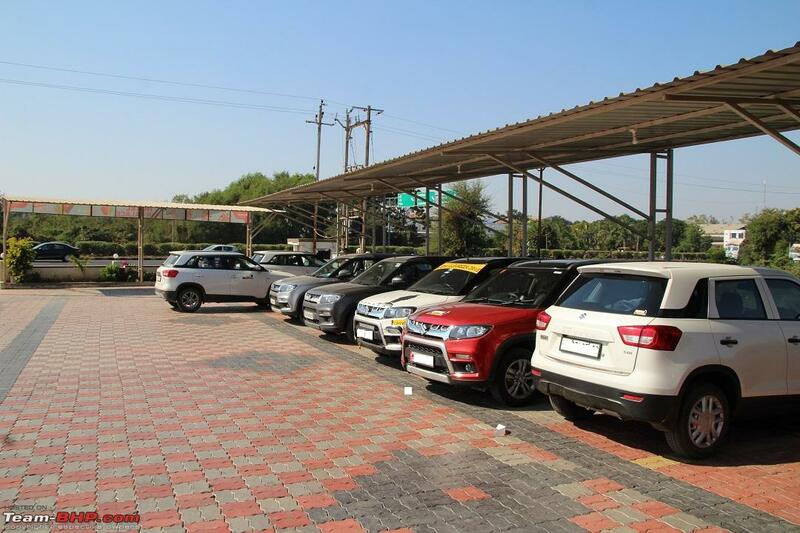 All of them already started their drive on 21st Dec morning. 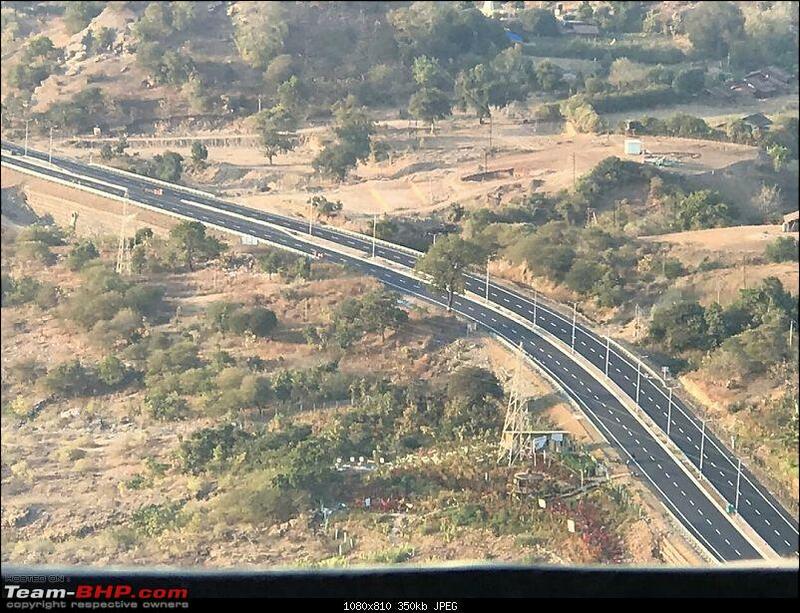 We finalized a rendezvous point after Vadodara, a highway hotel at Pore( 80Km far from SOU). Our meeting time was 1200. Our plan was to start our drive in convoy to SOU at 1300. 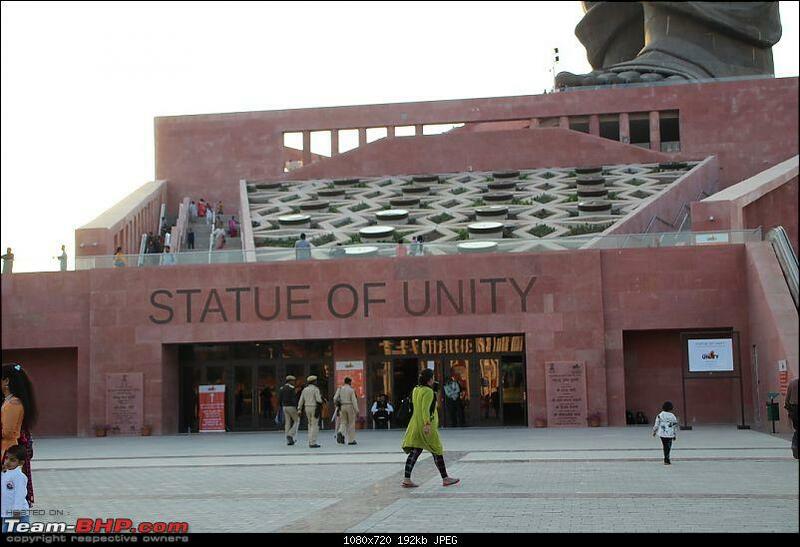 Statue visit tickets were already booked for us for 1500 to 1700 slot. 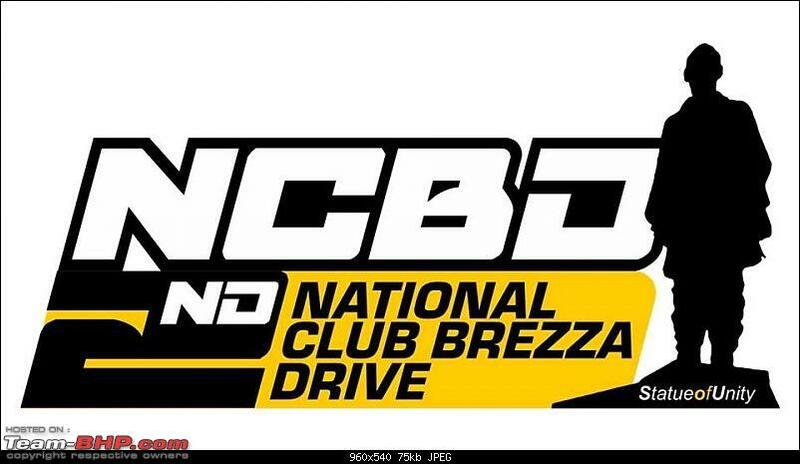 It was Car Club drive. So, it was obvious that I wanted my car to be in excellent condition. 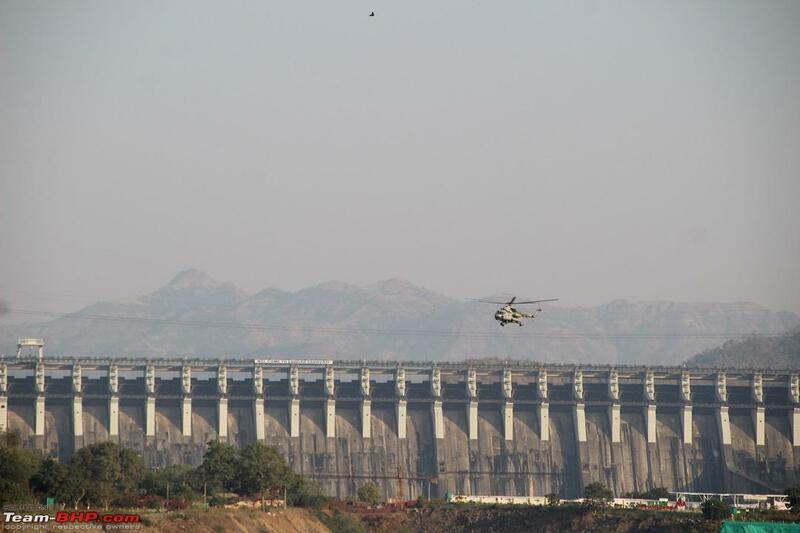 The rendezvous point was just 40km/40minutes far from my hometown. 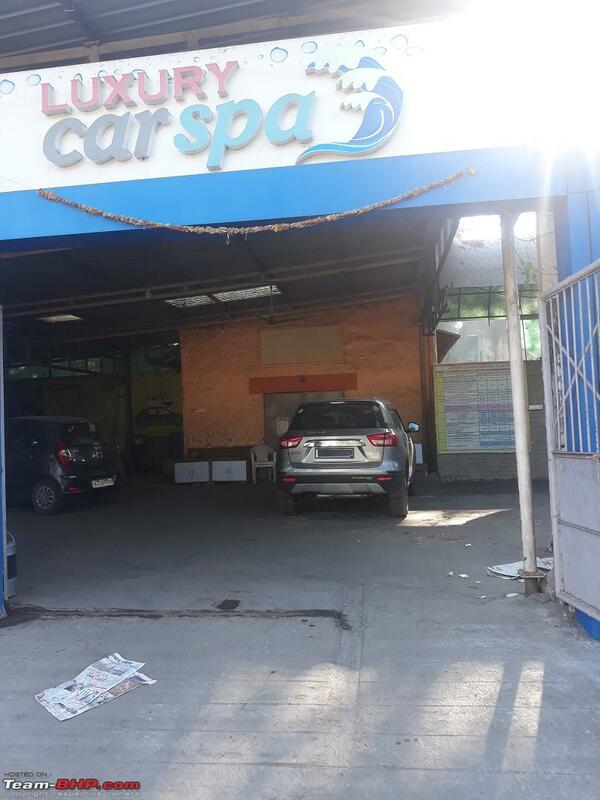 I had the entire morning at my disposal and I used that time to pamper my car at Car Spa. It is Christmas Week. 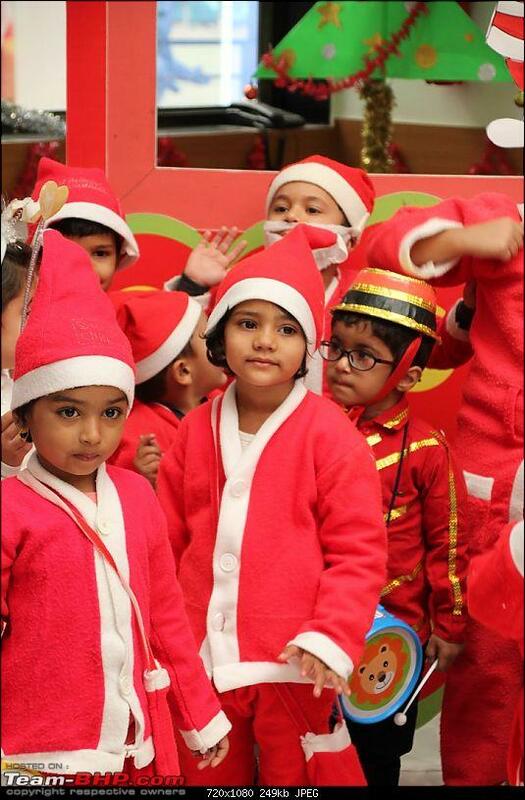 A small Christmas celebration was planned at my daughter's school. I along with my wife attended that event and dropped them at home. I was thinking to take wife and kid to drive. However, the wife was busy with some other family commitment, so I decided to attend the drive alone. For me, this drive was also a recce drive of SOU before planning a family trip to SOU and the surrounding area. I started my drive to Pore(rendezvous point) sharp at 1000. I was mutually decided to start our driver from some of the historical places in our respective hometowns. I am from Anand and Anand is well known for its Milk Revolutions. 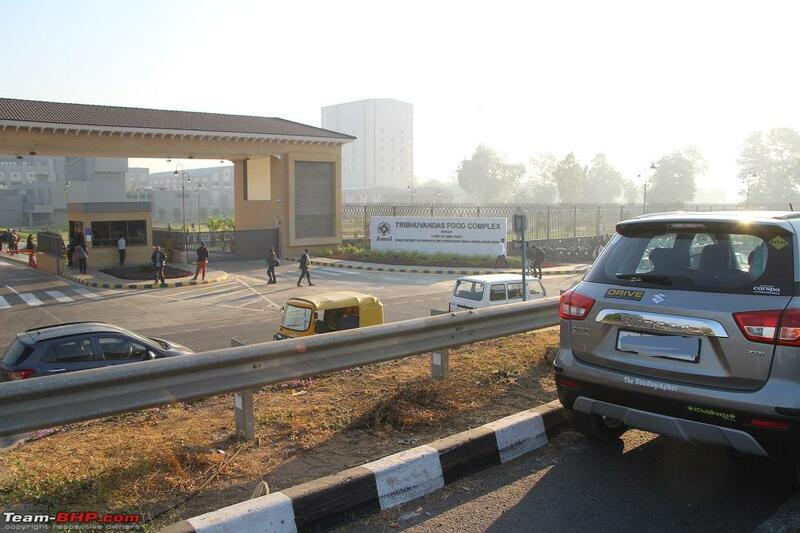 I started my drive by clicking my car's photo at Well known Amul Dairy. 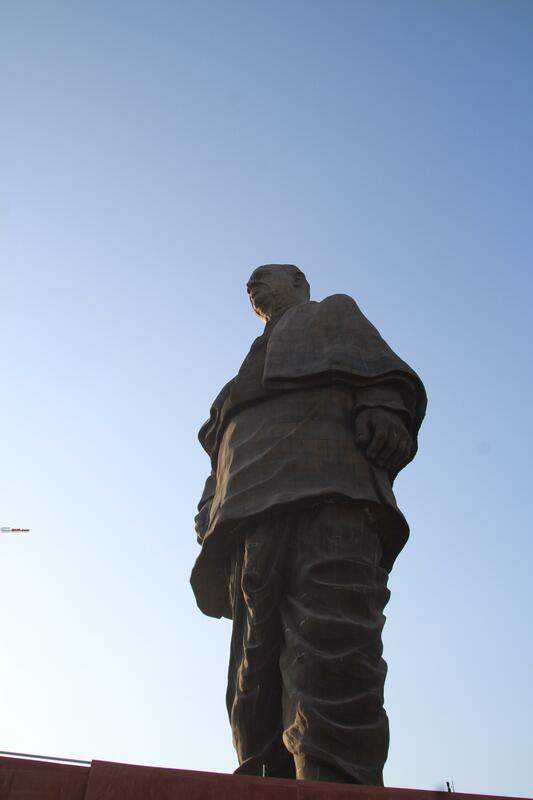 It was iconic, I was starting my drive to visit Sardar Vallabhbhai Patel's statue from a place wherein he was instrumental in its creation. 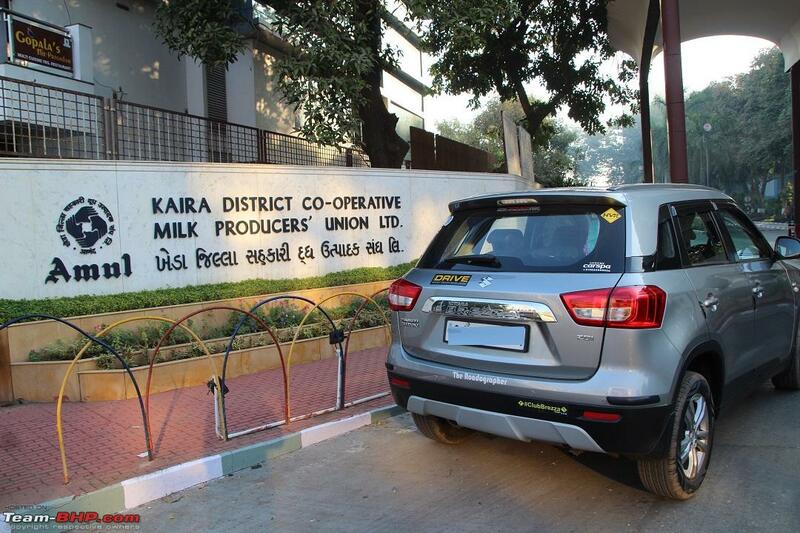 When farmers were at the mercy of milk contractors in Kheda they turned to Sardar for a solution. 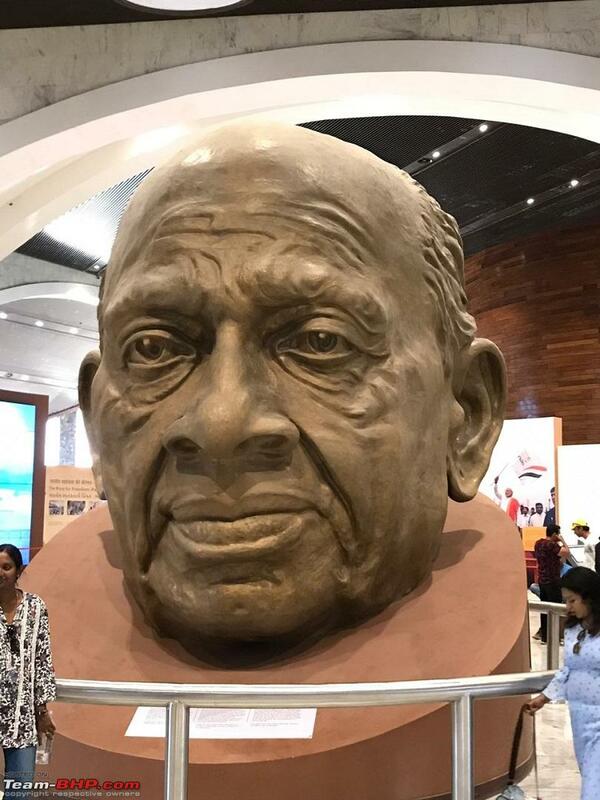 Sardar Patel, who had advocated farmers’ co-operatives as early as 1942, reiterated his advice that they should market their milk through a cooperative society of their own. This co-operative should have its own pasteurization plant. His advice was that the farmers should demand permission to set up such a co-operative. If their demand was rejected, they should refuse to sell their milk to middlemen. The Farmers called a “milk strike” After 15 days the milk commissioner of Bombay, an Englishman, and his deputy visited Anand, Assessed the situation and accepted the farmers’ demand. 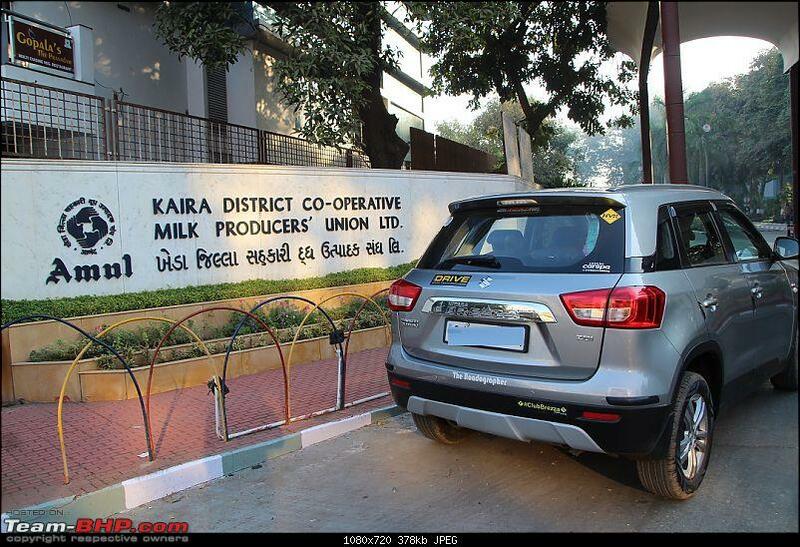 This marked the beginning of Kaira District Co-operative Milk Producers’ Union Limited (later on popularly known as Amul). At New Amul Chocolate Plant. Details. Last edited by SJM1214 : 31st December 2018 at 14:17. We ( Me and Brezza) reached Hotel Pore Place around 1130. 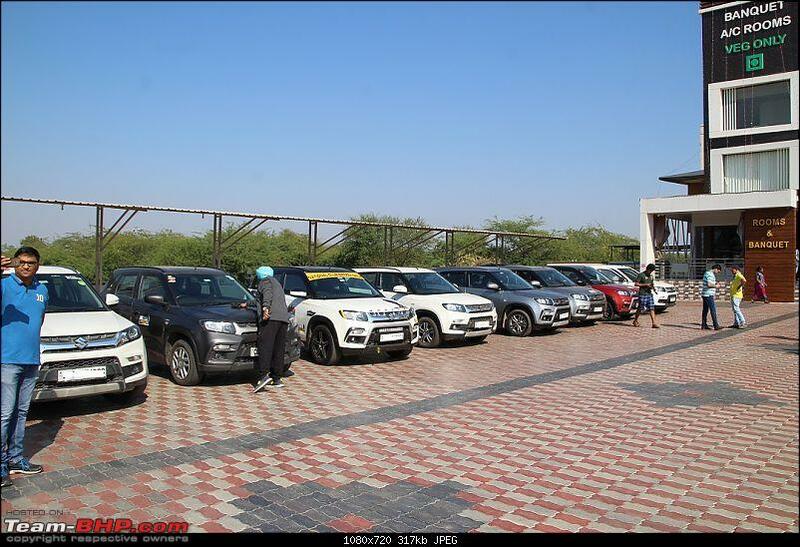 Most of the cars have already arrived at the Hotel and members who drove the entire night were taking rest in their respective rooms. I announced my arrival at WhatsApp group and made myself comfortable at the hotel's restaurant. I didn't want to disturb other members who drove the entire night to reach at Pore. Some of them spent more than 14 to 16 hours driving the car. Hotel Pore Place. Parking space. 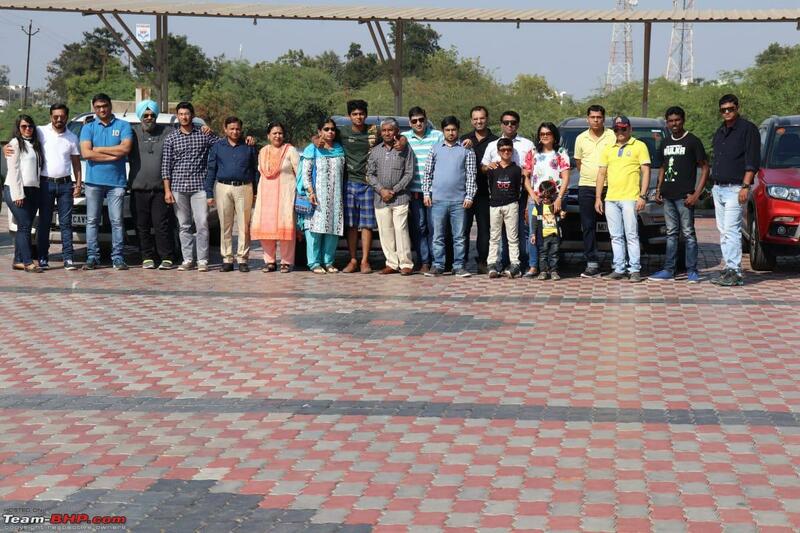 All of us got together at 1200 and started arranging our cars for a photo session. It was amazing meeting all the members. We knew each other by WhatsApp and FB. This was the first time we were meeting face to face. We arranged our cars for a quick photo session. We meet each other. 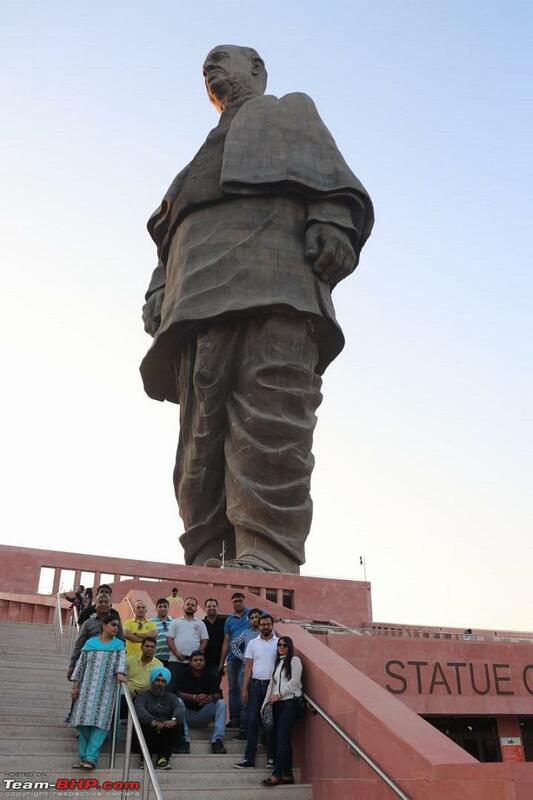 All of them were guest in Gujarat. Being a Local, I welcomed them with sweets. We did a quick photo session and started or SOU at 1300. Last edited by SJM1214 : 31st December 2018 at 14:12. We started our drive to SOU in convoy. We were 14 Brezzas. 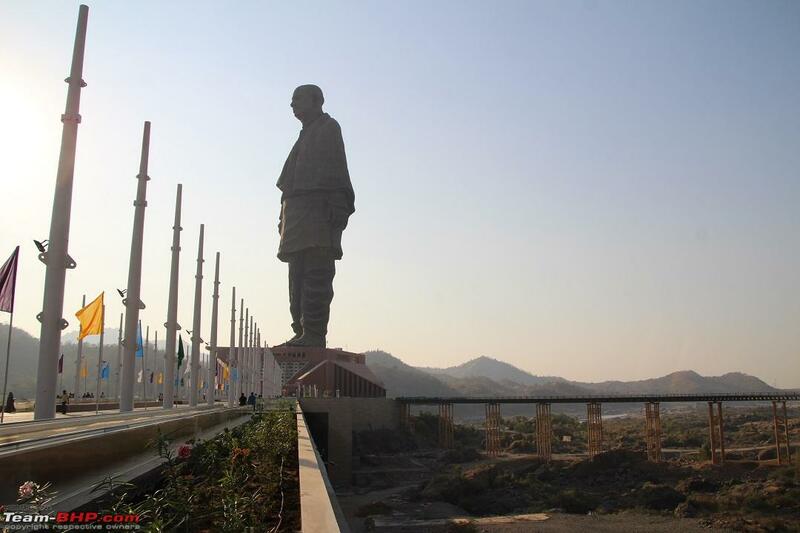 Statue of Unity was located 90km/2 hours far from our hotel. We have booked our tickets for 1500 to 1700. We wanted to reach SOU before 1500. Our start from Hotel Pore Palace. We had to drive on a single lane rural-road for a while to get on GJ SH 63. We wanted to reach SOU before 1500, so, we were maintaining a steady speed. We didn't want to stop anywhere before SOU. 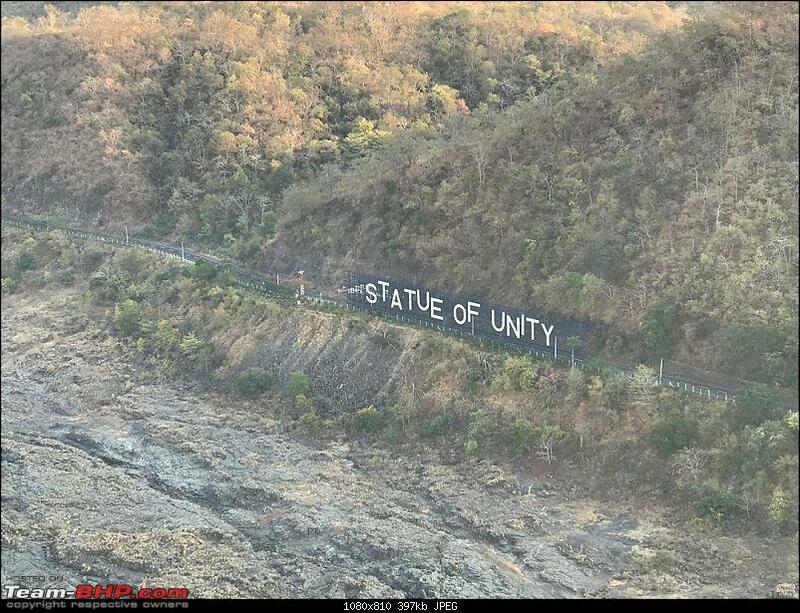 After a while, we were on GJ SH 63. It's a nice, well maintained four-lane road with proper diversion and milestones. We zoomed through SH63. Here is some Dashcam feed from one of the Brezza. Video Courtsey : Pinkesh Sangoi. We have already booked our tickets for 1300 to 1500 slot. Below are some details related to tickets of SOU. 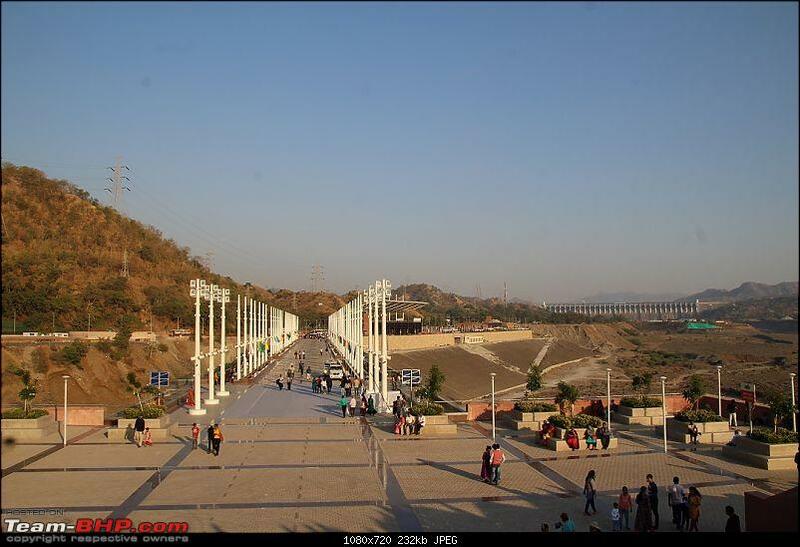 Ticket prices to visit Observation Deck view, Valley of Flower, Memorial, Museum & Audio Visual Gallery, SOU site, Sardar Sarovar Dam. 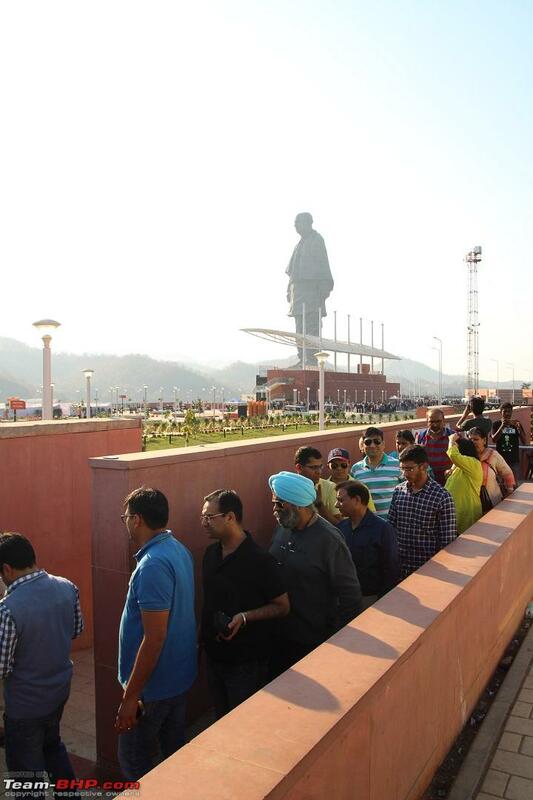 The major benefit of Express tickets is you won't need to wait in a queue to go for the viewing gallery. There is a quota of 5000 tickets which can be booked online under Express tickets. Express tickets are beneficial during the time slots of heavy rush. These tickets are also available at the counter. This is the common ticket. 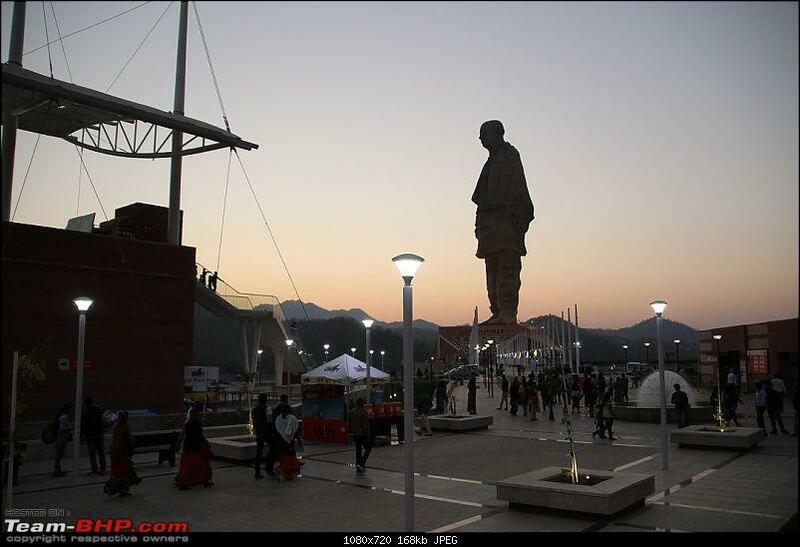 You will be allowed to visit Observation Deck view, Valley of Flower, Memorial, Museum & Audio Visual Gallery, SOU site, Sardar Sarovar Dam. You'll have to wait in a long queue to enter in the elevator to go for the viewing Galley. 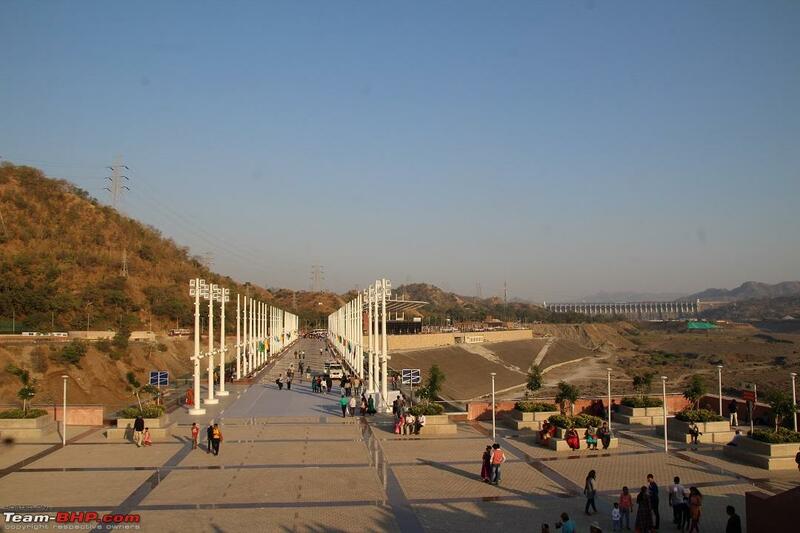 This is the basic ticket to enter Valley of Flower, Memorial, Museum & Audio Visual Gallery, SOU site, Sardar Sarovar Dam. The viewing gallery entry is not allowed under this ticket. If you have booked Express or Viewing Gallery ticket then no need to book Entry ticket. 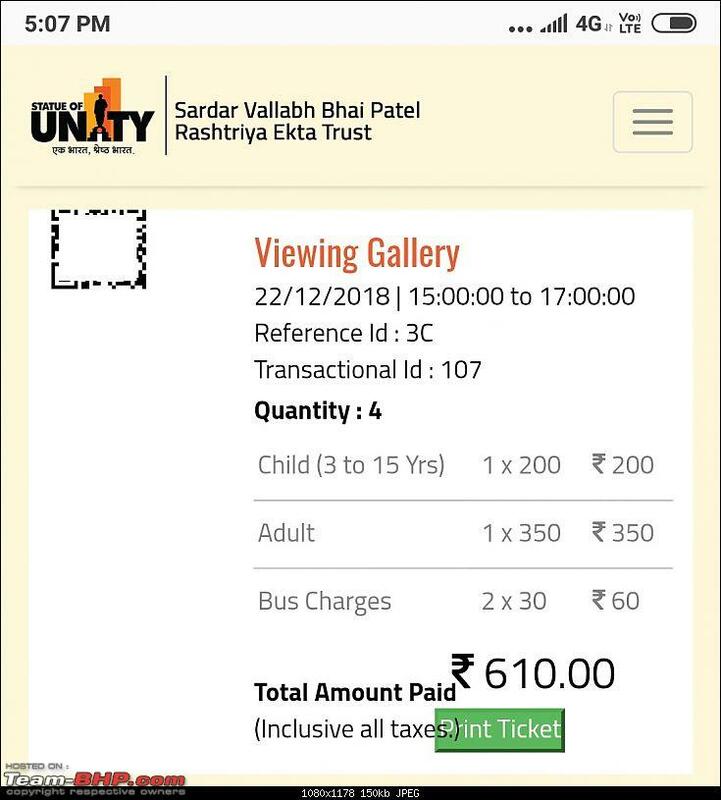 If you have booked Entry ticket or Observation Deck Ticket then no need to book Bus Ticket separately. If you are in your own car, you can drive up the ample parking area which is walking distance from the SOU campus. Bus service is Hop on / Hop Off for every attraction. Ticket can be booked Here. There is no needed to keep a physical copy with you. 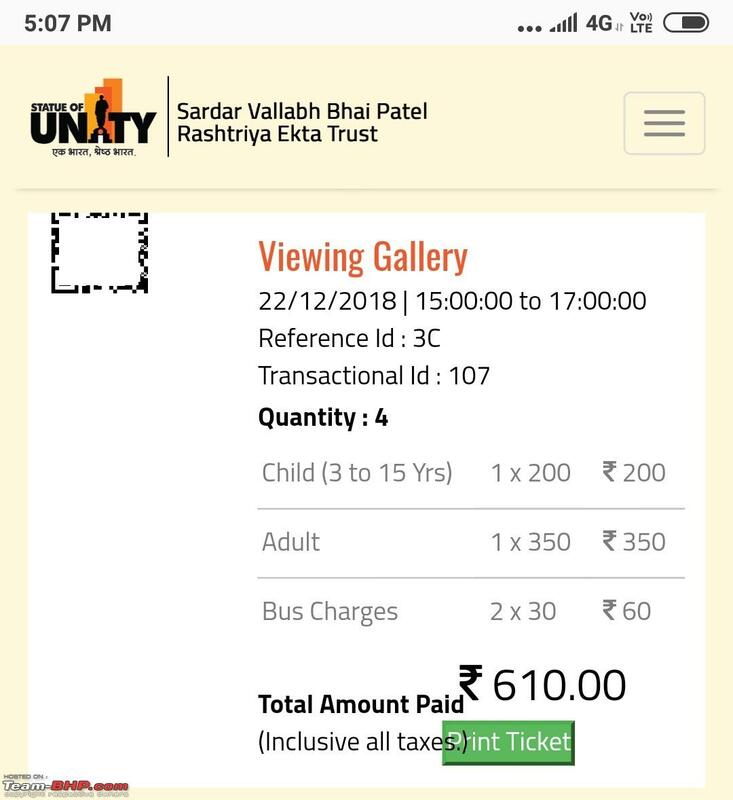 A screenshot of the ticket or softcopy is enough to enter the SOU Campus. Last edited by SJM1214 : 31st December 2018 at 14:08. Our convoy reached SOU Parking ( 4Km from SOU campus.) at 1515. 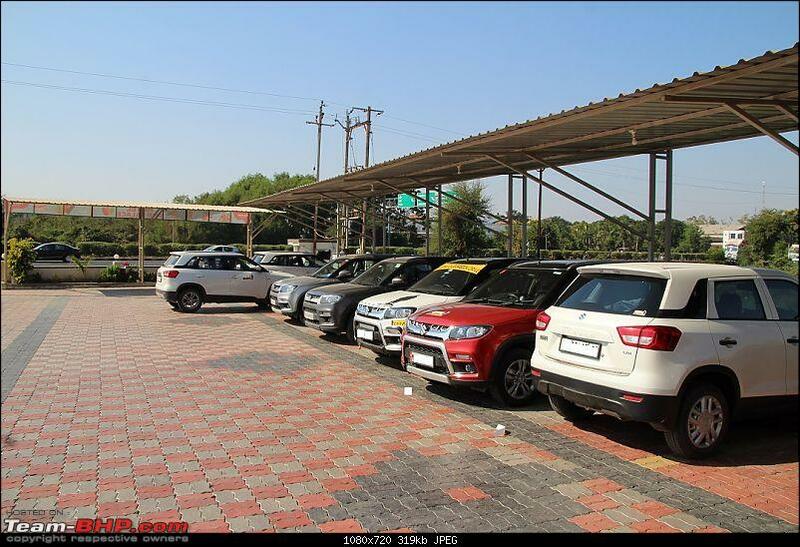 We had to stop and park our cars at this parking due to traffic restrictions. All-India DGP conference was going on at SOU and Sardar Saravor Region. PM Modi and President of India Ram Nath Kovind were attaining that conference. 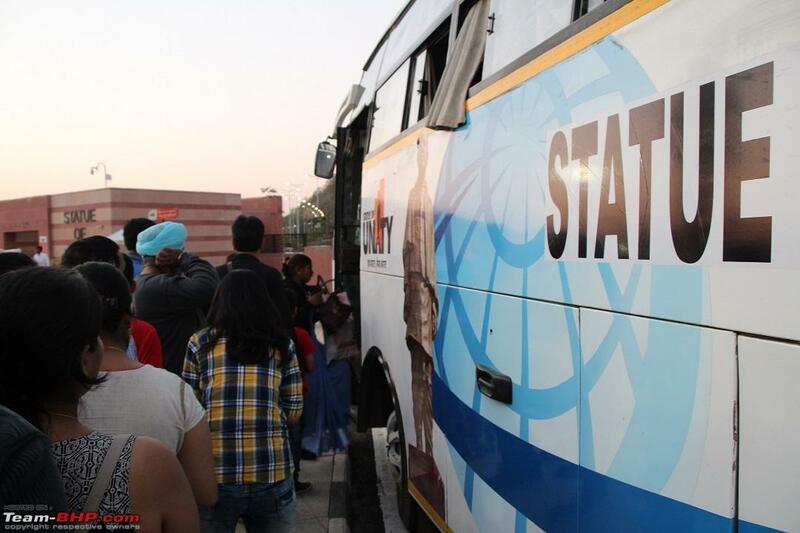 We parked our vehicles in the parking area and rushed to the queue for the bus. It was disappointing for us. 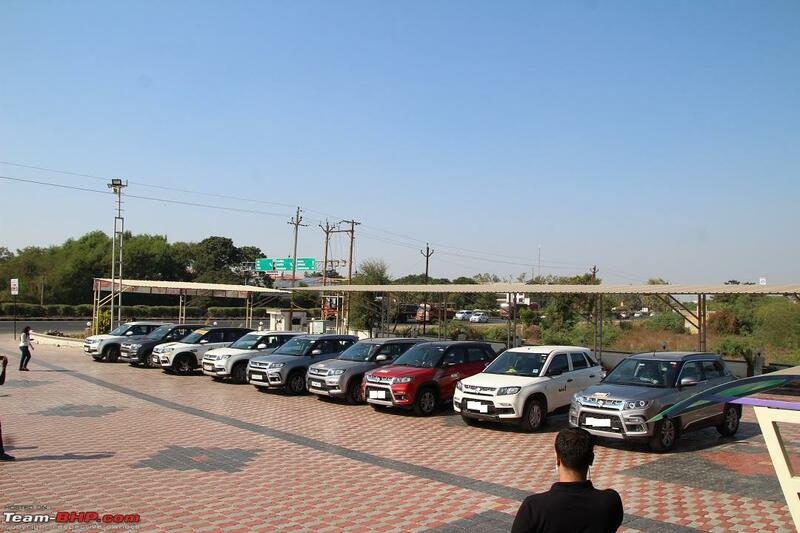 We wanted to click a photograph of all of our cars with SOU in the background. That was not possible now. We were not allowed to take our cars anywhere within a radius of 5 Km of SOU. We made our mind and got on the bus. That parking space was just 4 km from SOU. We were about to take a turn inside the SOU campus and the duty officer asked our bus driver to park the bus on the left side of the road. Some of us tried to get out of the bus, we were asked to get onto the bus immediately. We asked the traffic cop, as per him PM Narendra Modi and President of India Ram Nath Kovind were travelling back. 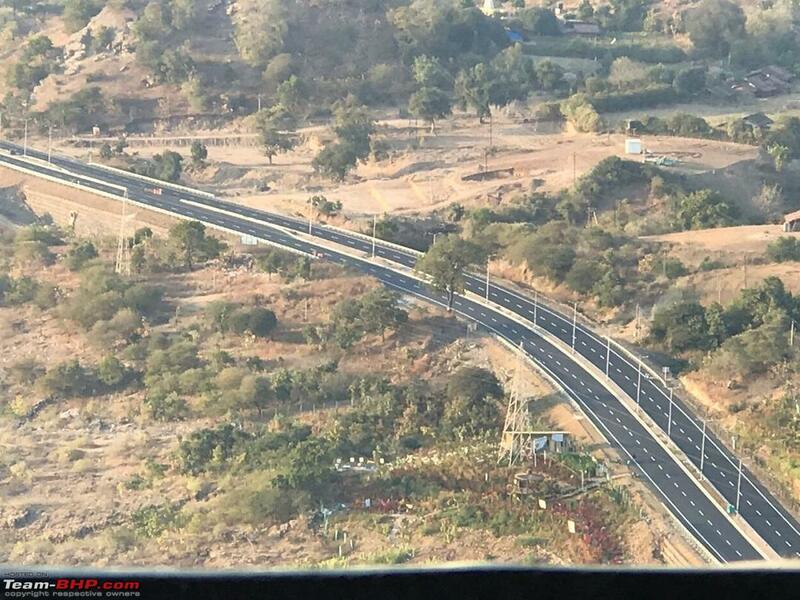 Roads were blocked to give safe passage to these VVIPs. We waited for more than 40-mints in that bus. At 1615, we got out of that bus and joined the queue to enter SOU campus. 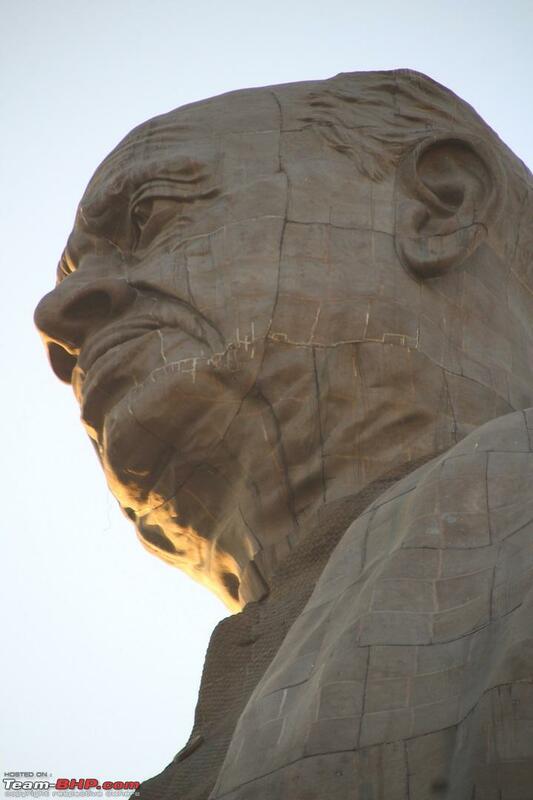 I got the first glimpse of that majestic statue. It was amazing and beautiful. I mean, all of us must have some kind of thoughts for the necessity of this statue. 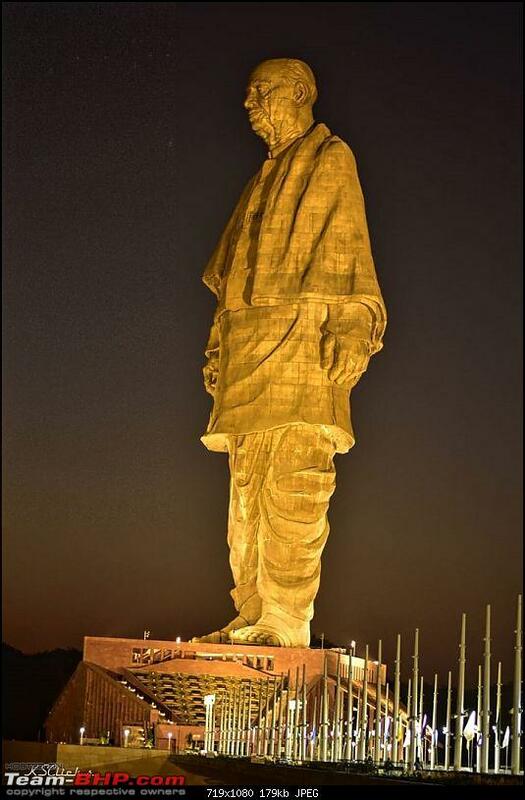 Our Government spent more than 3000cr just on the statue, was it really necessary? According to me, the answer is always "No". However, that's a matter of personal opinions. 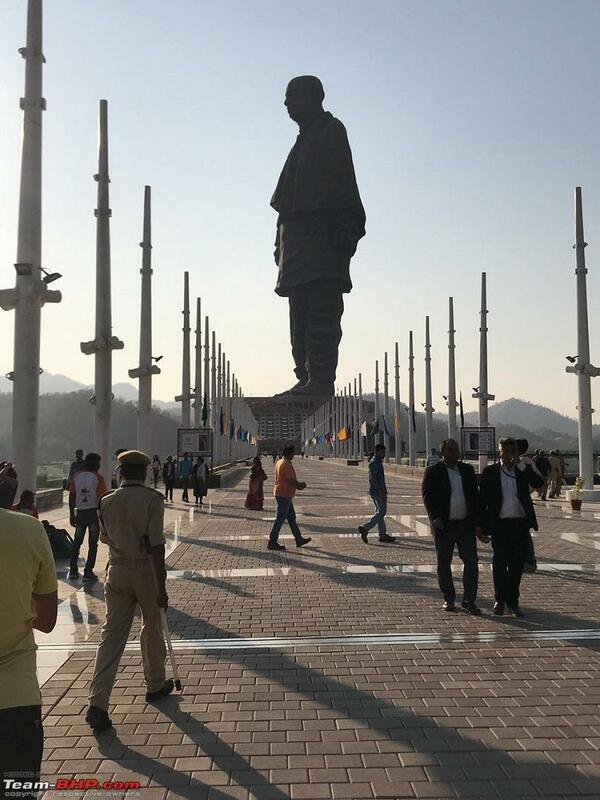 Whatever my personal opinions are, I was in front of the world's tallest statue. It was impressive. We got inside the campus. 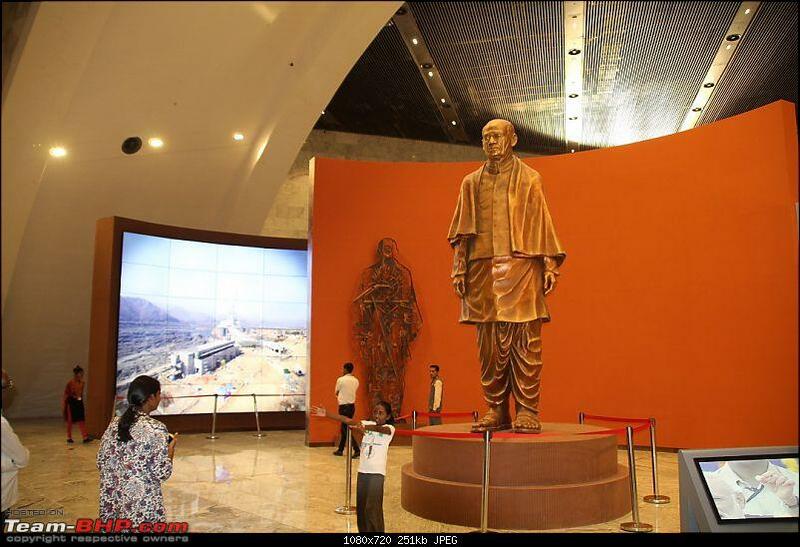 I was not able to remove my eyes from that massive statue. I was observing each and every detail of that statue. 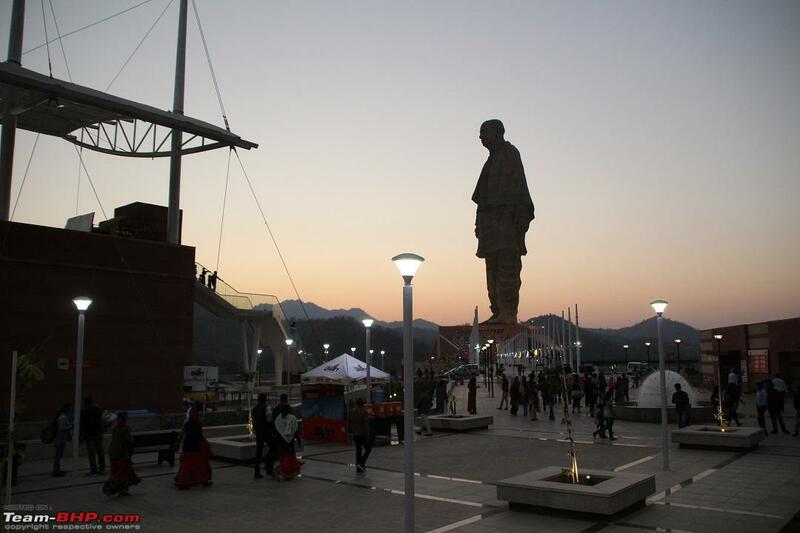 We kept walking towards the statue. The entire campus is well-built with plenty of instructions boards and assistants. 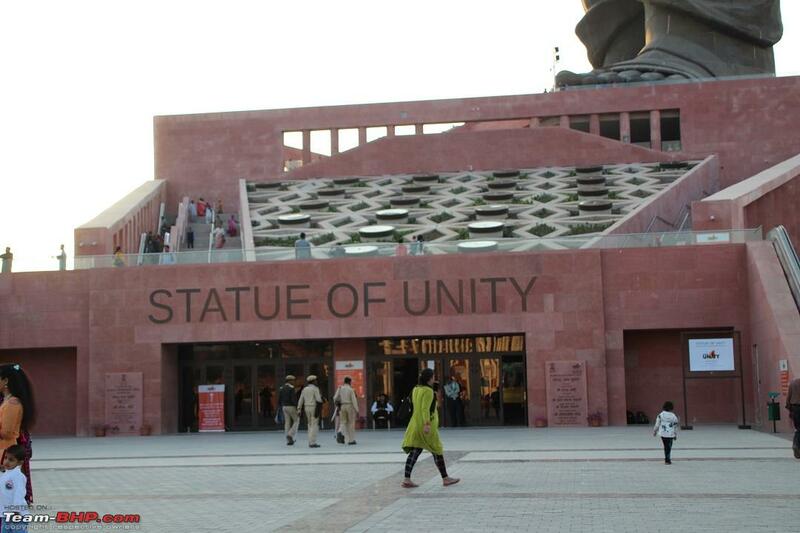 Unity is the main theme of this entire campus and statue. 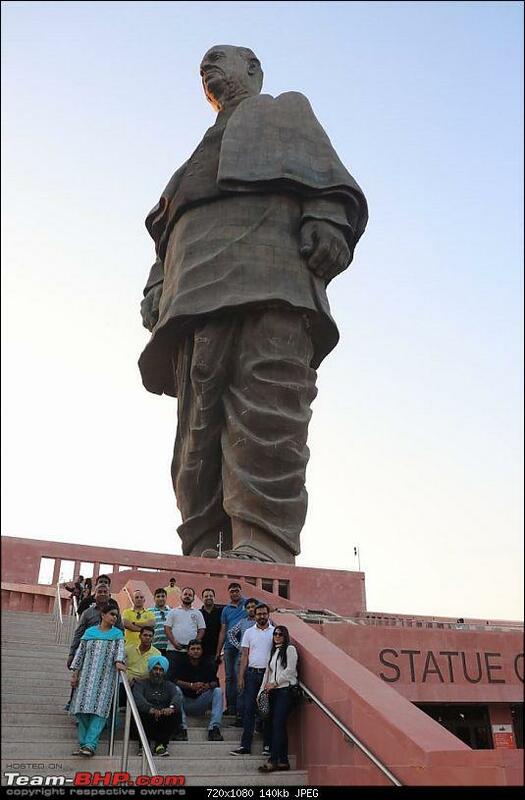 We kept walking towards the statue. The campus was full of tourists. 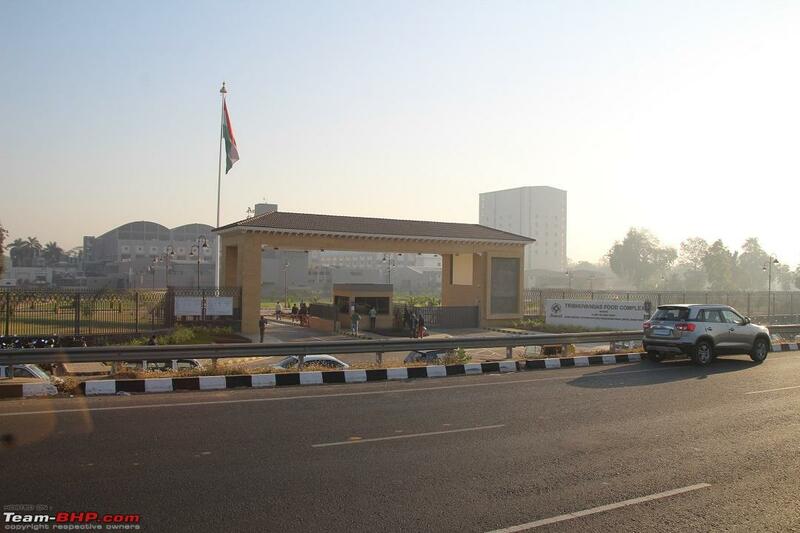 However, due to its size, the campus was not looking overcrowded. 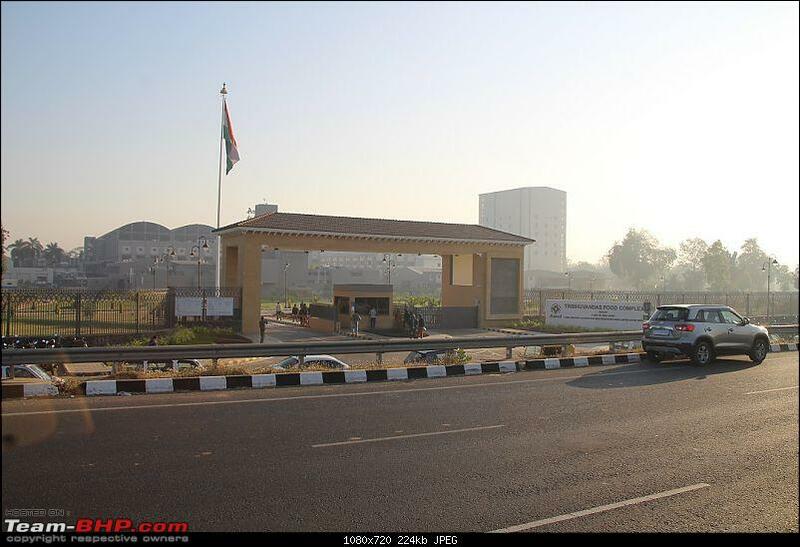 The entire campus was well-managed and nicely-organized. The SOU staff was wearing the uniform and looked eager to help. We kept moving ahead by clicking lots of photographs. The left side of SOU. The Right side of SOU. 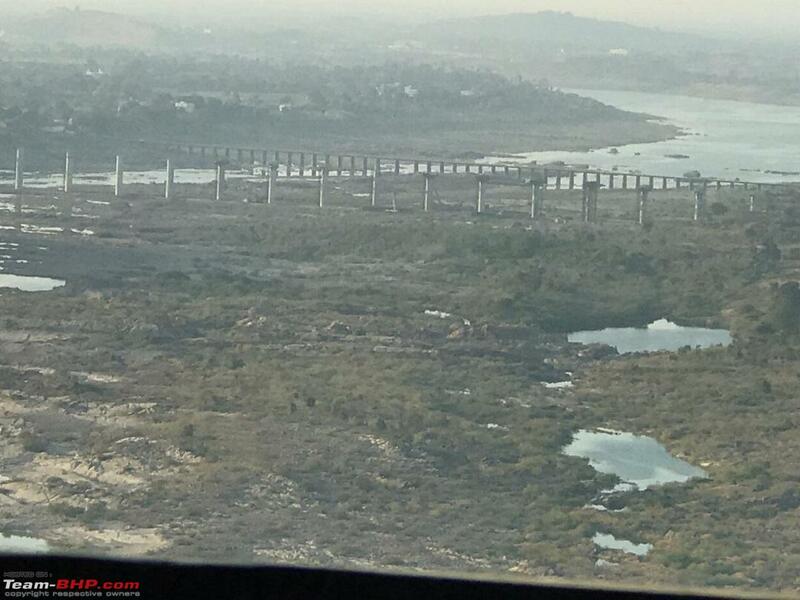 We got our tickets checked at the last check post and entered in the bridge kind of walkway. This entire area is equipped with wheel-chairs and moving walkways. If you want to bring your aged relative to SOU, it can be easily managed. It was already 1730. We were late. 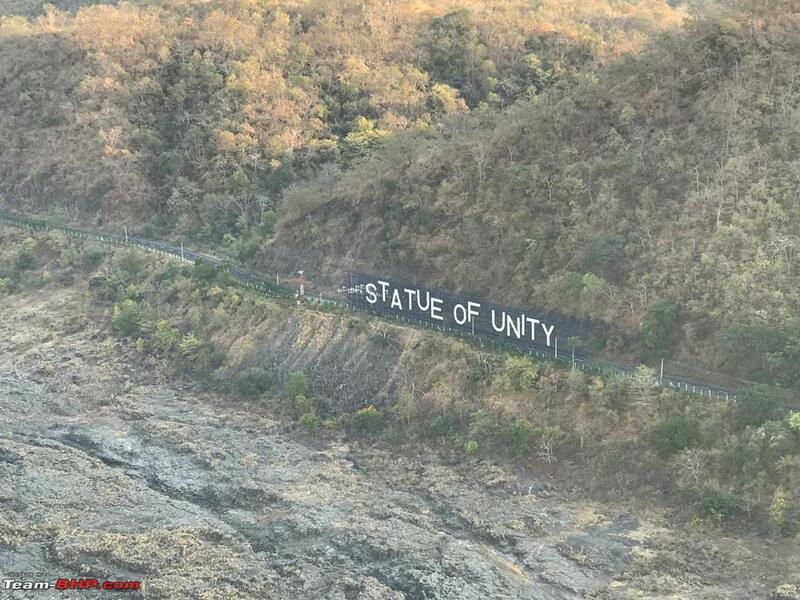 We zipped through the Moving walkway and reached the base of the Statue. Most of the Tourist was coming back. Fortunately, after PM and President's departure, delegates of All-India DGP conference were free and they were visiting SOU. I joined one of the DGP group and I got special treatment along with other DGPs. 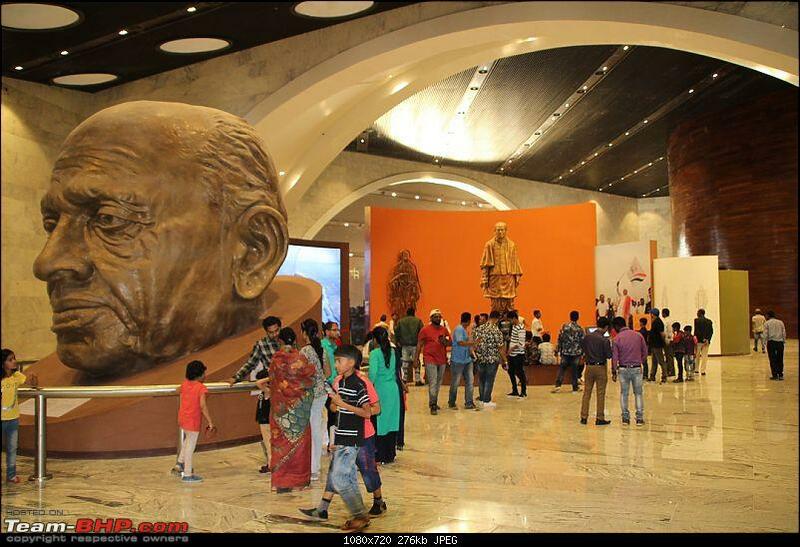 I got an express(without checking tickets) entry in Museum with other DGPs. 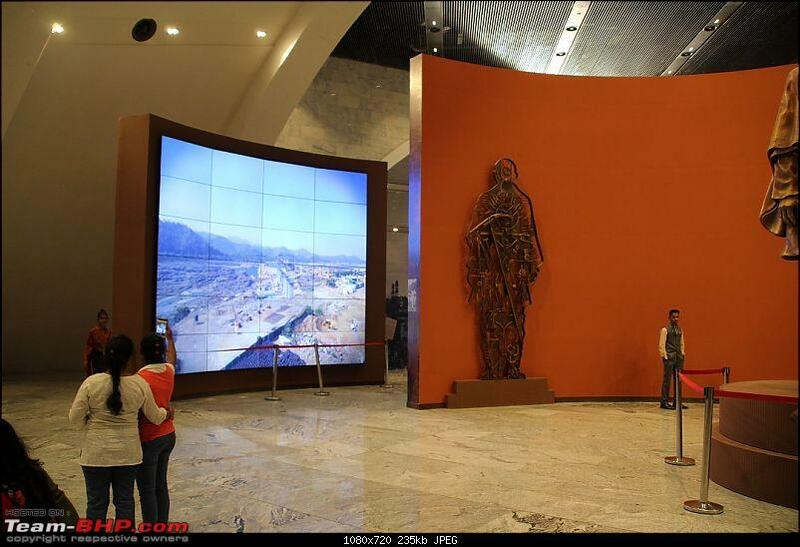 The museum is part of the project which also has various other attractions. 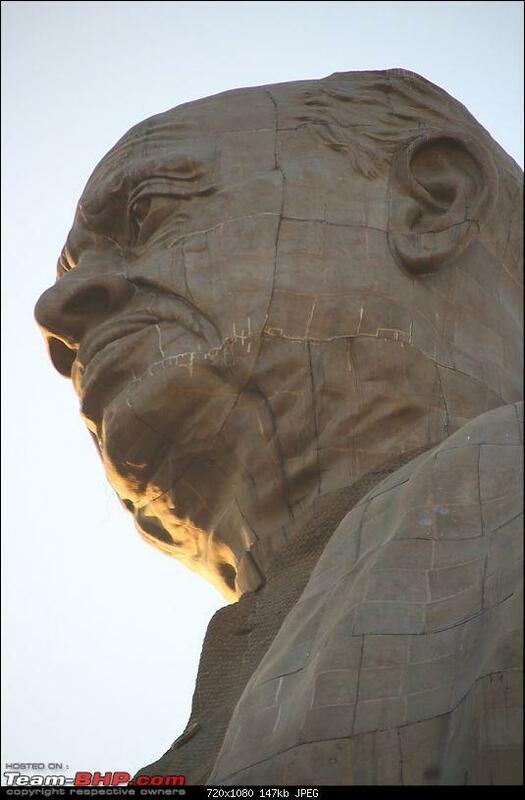 I have read most of the literature on(& by) Sardar Vallabhbhai Patel. I was very much curious to know how Sardar dealt/convinced with egoistic and proud states to Join Indian Union. 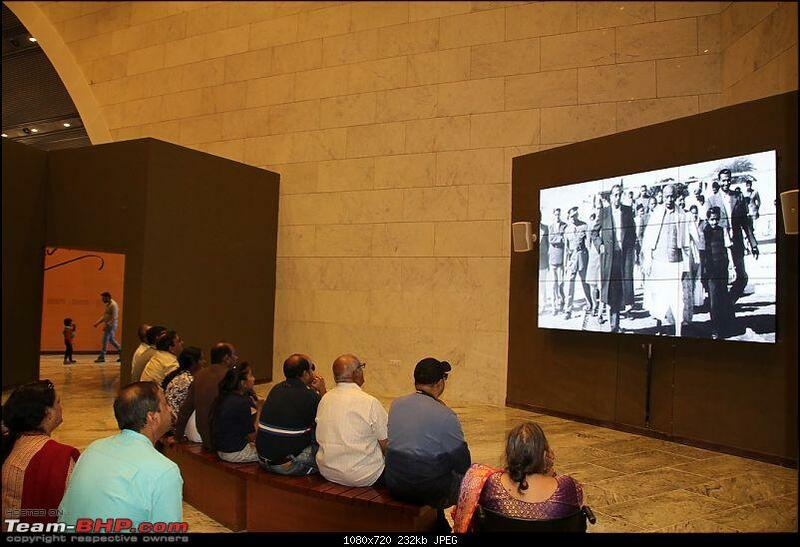 The museum talks about everything about Sardar's life. 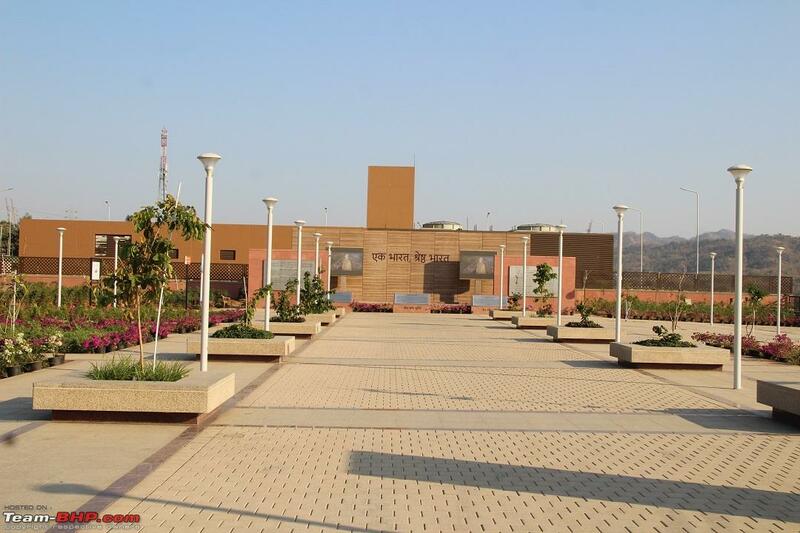 The museum is well maintained and well organised. However, I couldn't say that about the contents of the museum. 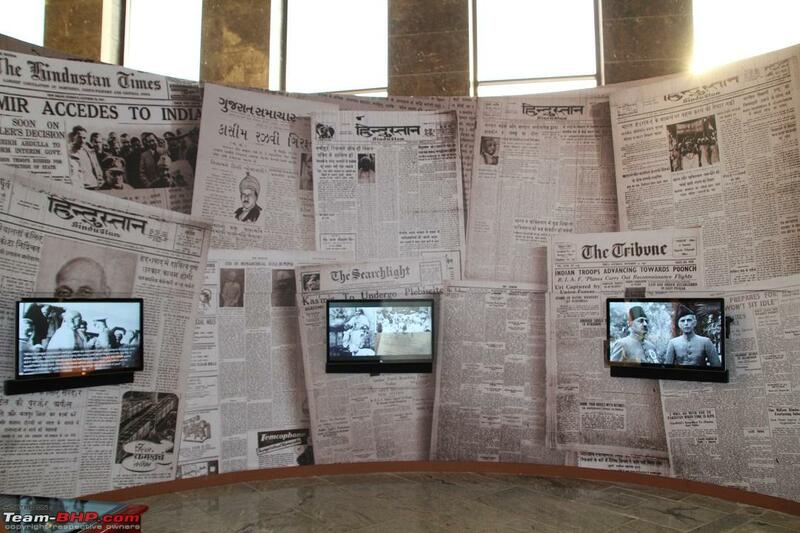 There is no continuity in the content of the museum. 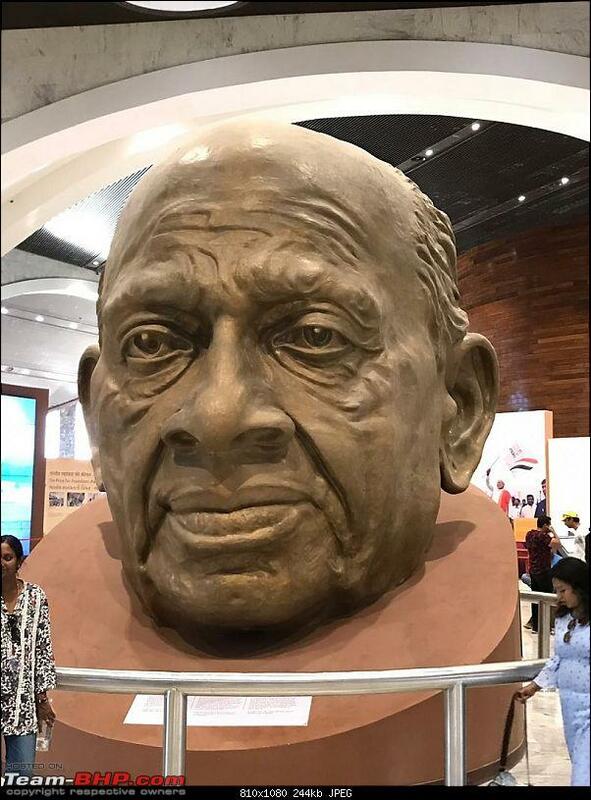 For, Example, one AV talks about how Sardar dealt with Hyderabad state(1948) and the very next AV talks about Sardar's Bardoli Satyagraha(1928). Both of these events took place during the different timeline. 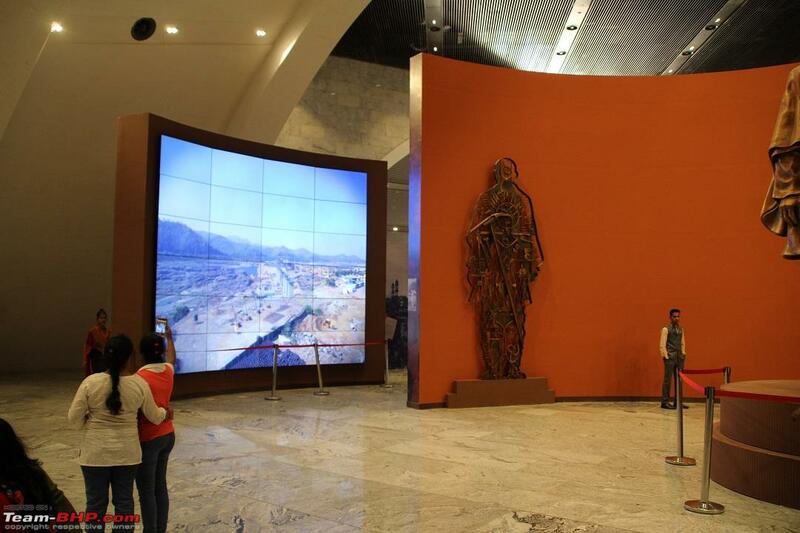 However, I noticed people were not that interested in the contents of the museum. 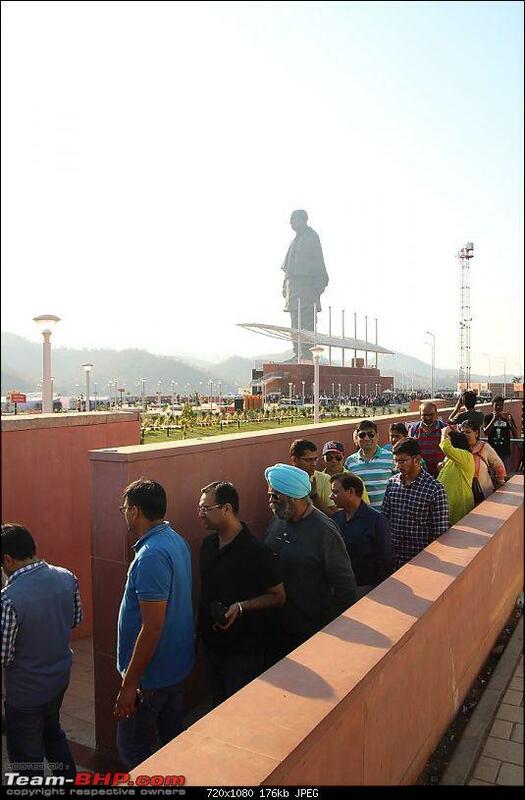 Most of them were interested in a selfie with a big statue of Sardar's Face. Keeping the content aside, state of the art technology is used for this museum. 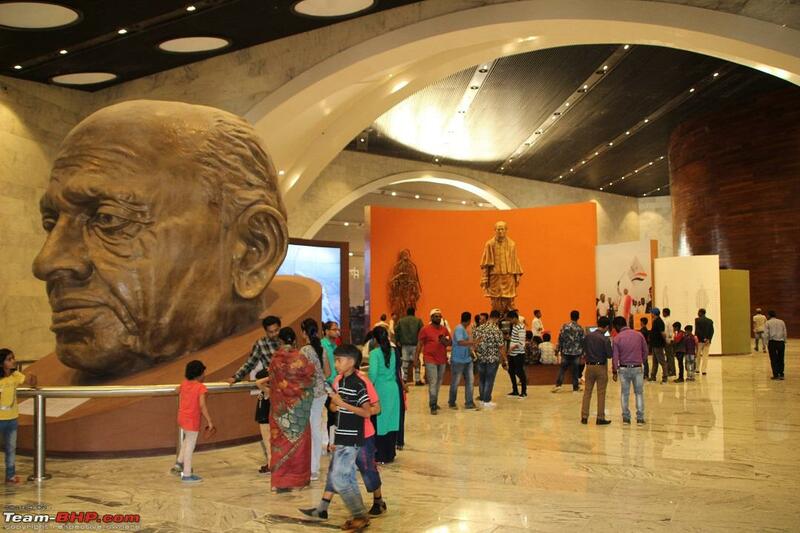 An 18-feet bronze statue welcomes you in the museum which is equipped with Video-walls, audio-video kiosk, a mini- theatre, a library and a replica of Sardar's office desk. 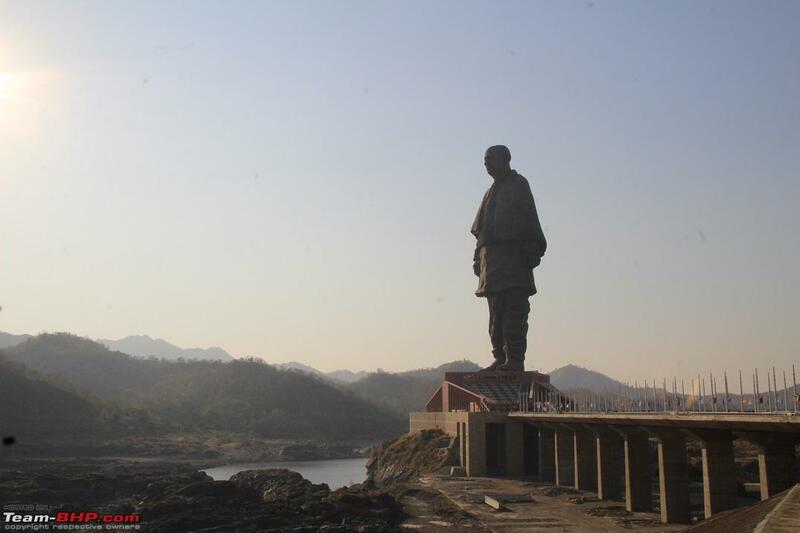 Sardar's struggle against British rule, the division of India, the merger of native states, local tribal life and culture, Sardar Sarovar Dam etc. 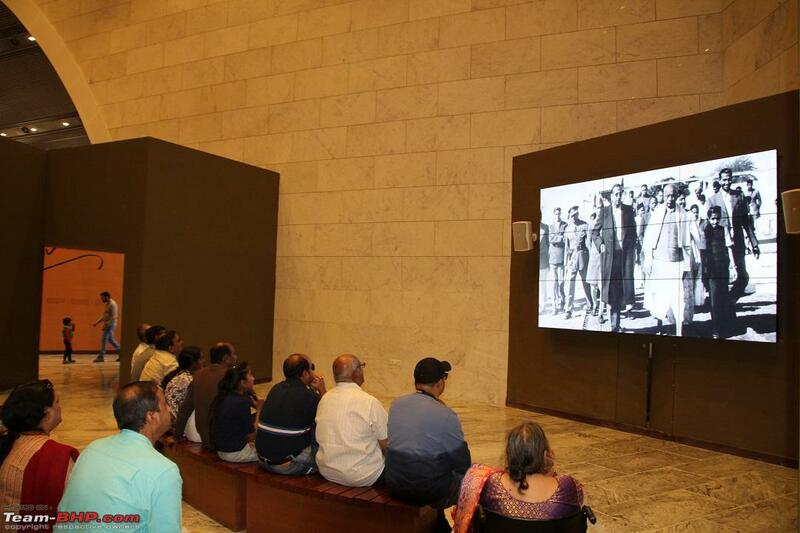 are presented at the museum through the medium of photographs and AVs. 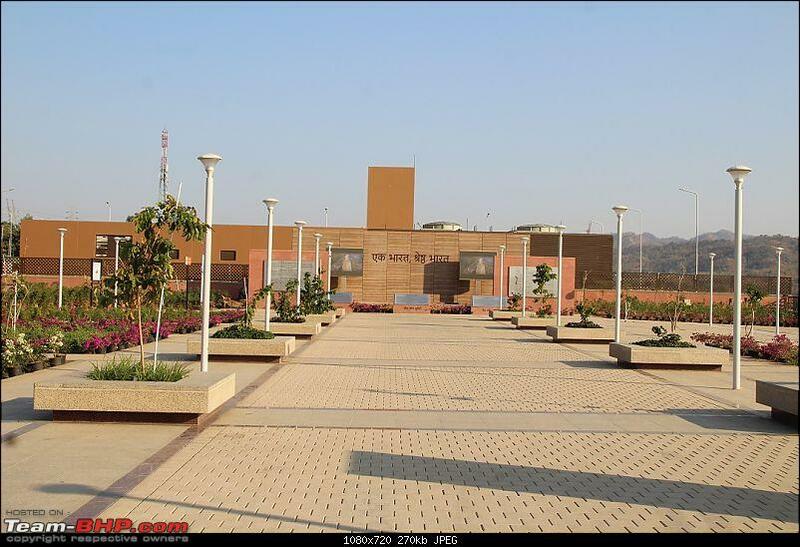 IMO, this is a perfect place to have education tours for schools and colleges. Last edited by SJM1214 : 31st December 2018 at 14:04. After visiting the museum, I decided to go for the viewing gallery. The elevator for viewing gallery is in the museum ( at the end of Museum). There was a long queue in front of the elevator. Once again, I tried my luck and joined the group of DGPs. Delegates of the DGP conference got the first priority within 10 minutes were at the Observation deck. 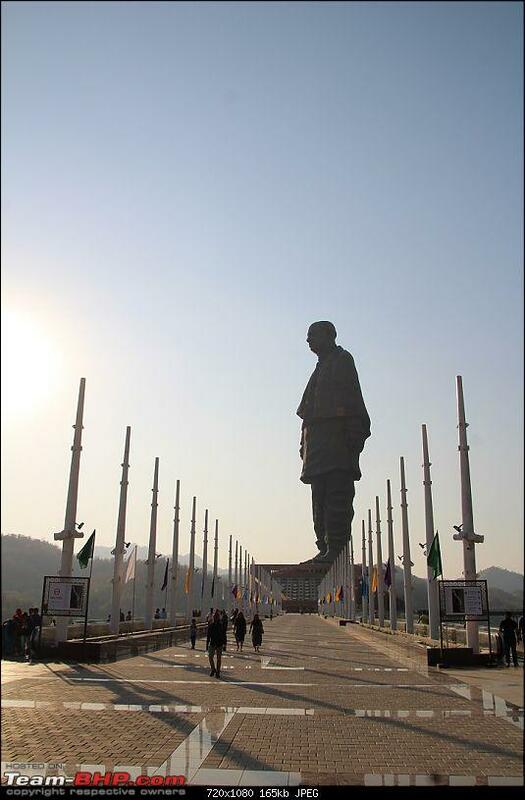 The viewing gallery or observation decks is at 400ft inside the statue. 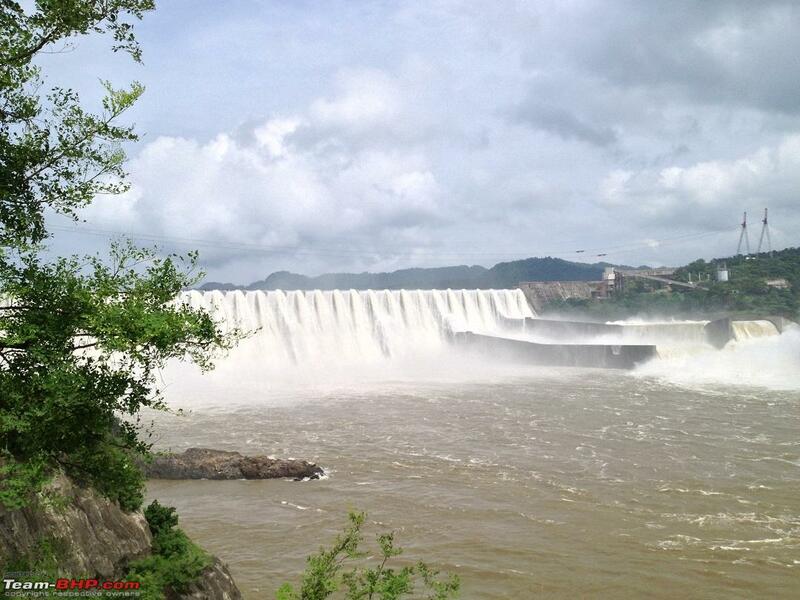 You can have a panoramic view of the entire Narmada river, surrounding hills and dam. It was beautiful. However, it was overcrowded and getting near to the observation windows was a hard task. Somehow, I managed to get near to that window and clicked some photographs. After 5 minutes, we were asked to go down to make space for other tourists. SOU from The Observation desk. I got down from Observation deck. Others mates were waiting in the queue. I settled at one of the benches above the museum. I had nothing to do. I spent half an hour clicking around and observing the SOU campus. 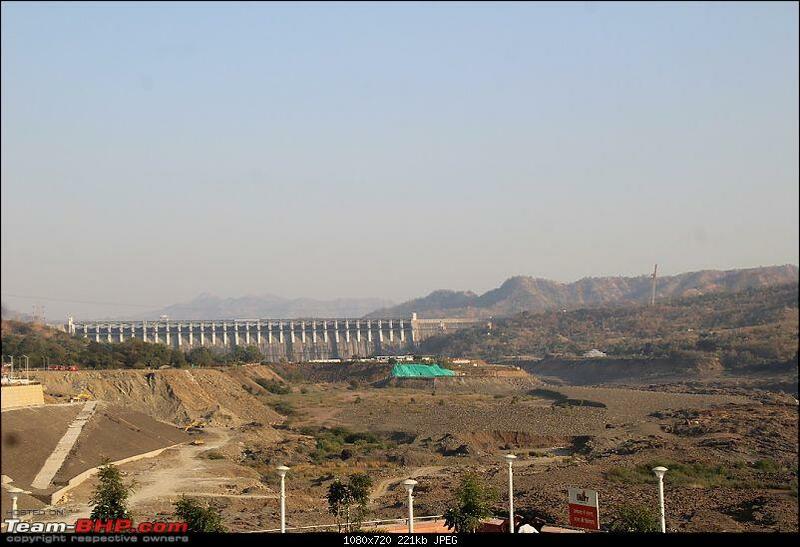 nix1976in rightly mentioned in his Travelogues that Sardar Sarovar Dam was a dull site without water. 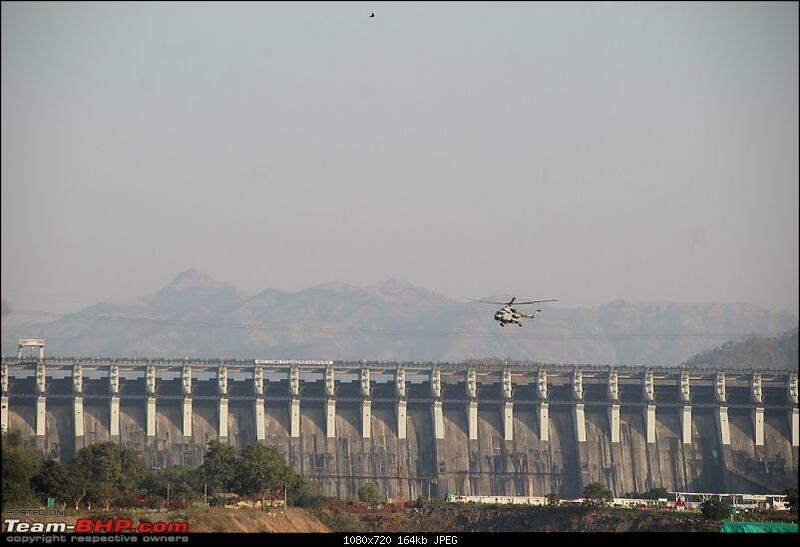 And then the Sardar Sarovar Dam - should go in the monsoon when they release water. As of now, nothing. 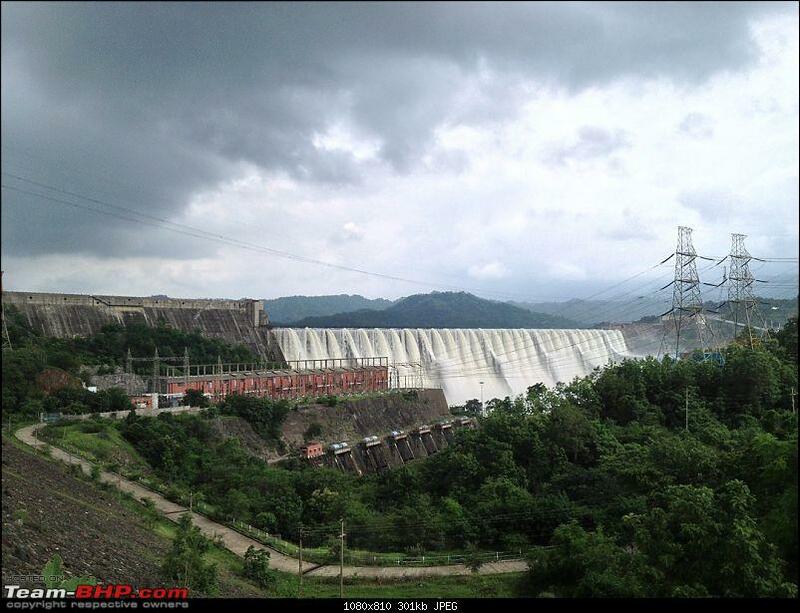 We visited Sardar Sarovar dam back in 2014 during monsoon. The door was opened to release excess water. It was a spectacular site. Have a look. 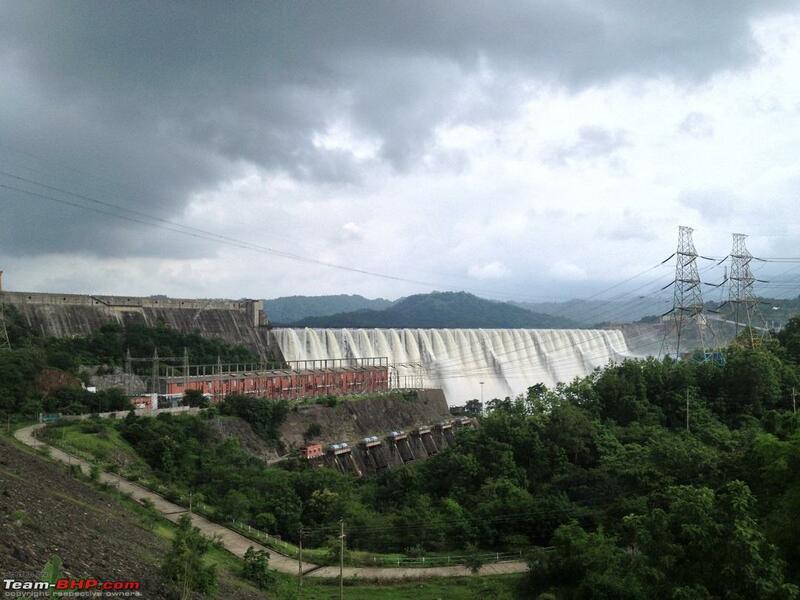 Sardar Sarovar Dam during 2014 Monsoon. 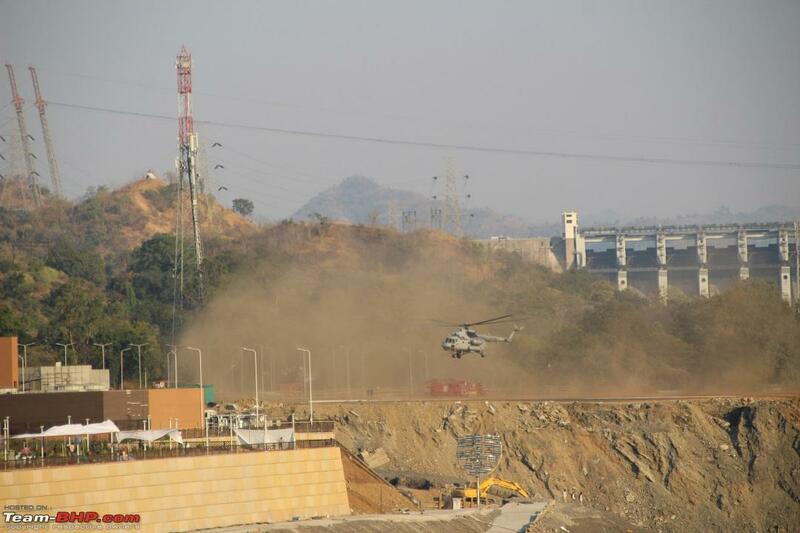 One of the choppers came back after dropping PM Modii at the nearest airport. 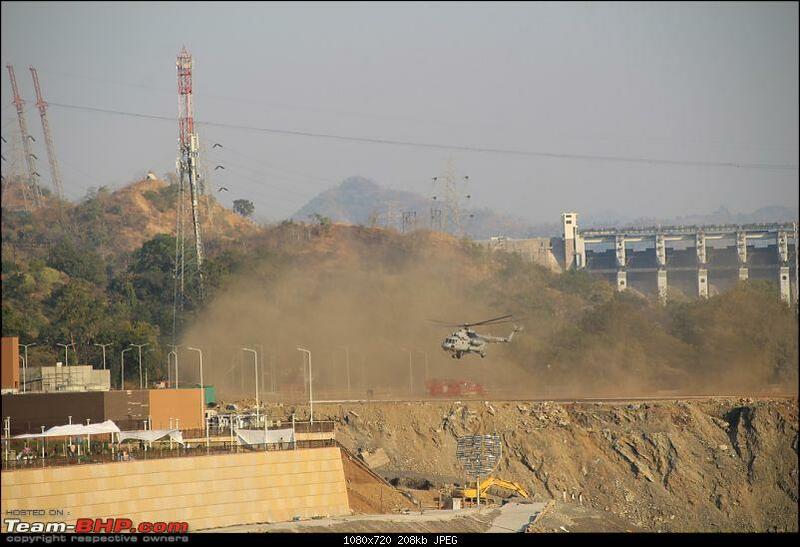 Earlier that day, when Modiji left SOU, there were three Choppers at SOU campus. One of them was coming back to SOU. I didn't understand why chopper assigned to PM's fleet came back to SOU. 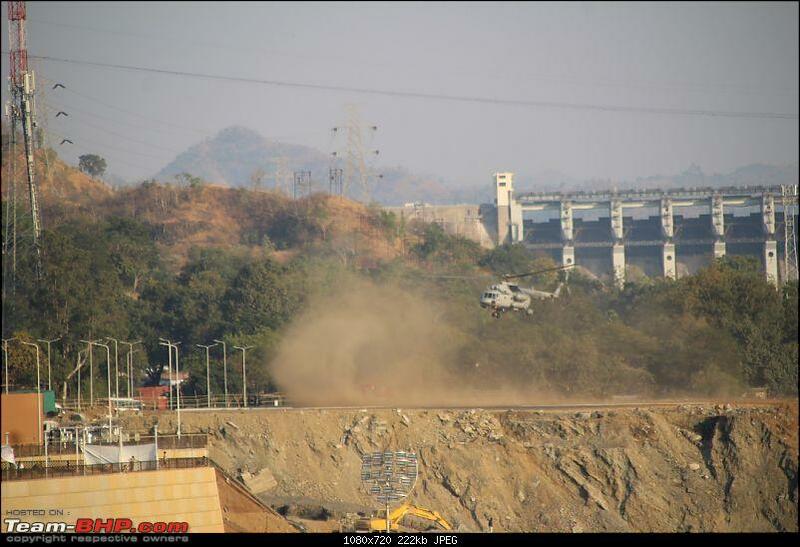 Hover a chopper landing on a helipad with a background of Sardar Sarovar dam was an amazing view. 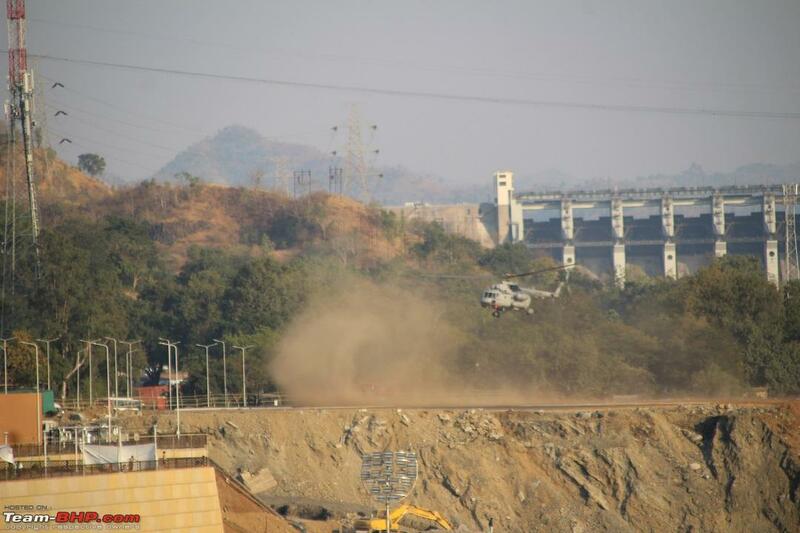 A chopper at Sardar Sarovar Dam. As per recent News, tourists can now take a chopper ride(10 mints at 2900/- PP) to get a breathtaking view of the 182-metre tall statue. I spent more than 20 mints waiting for other mates. 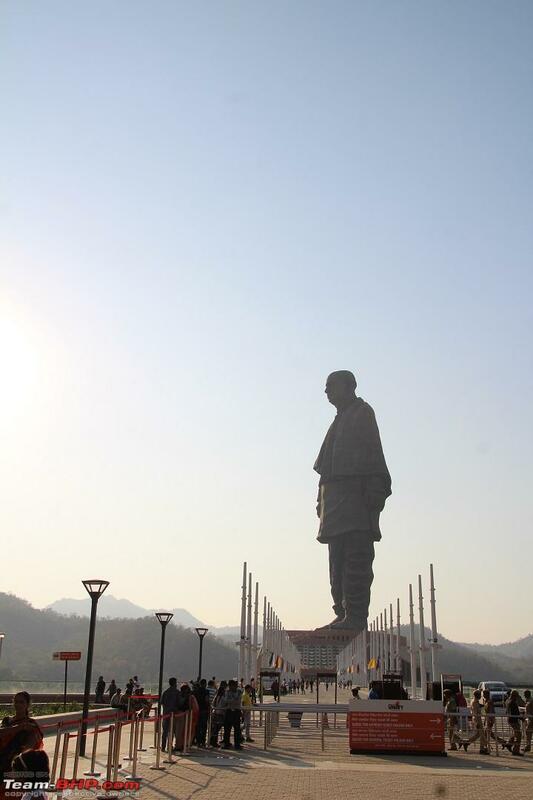 I clicked some photographs and observed each & every curve and joint of the statue by my telephoto lens. At 1830, all the members got together at the museum gate for a group photo. 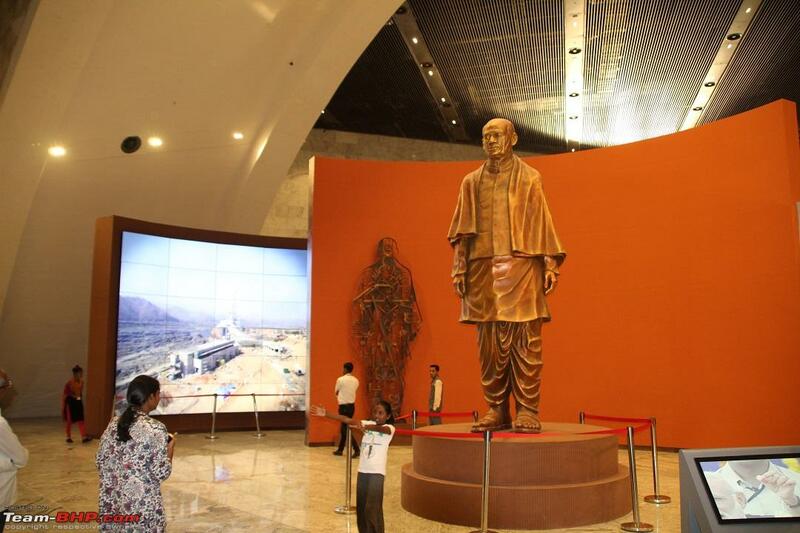 We visited the Statue of Unity, Museum and Observation Deck. 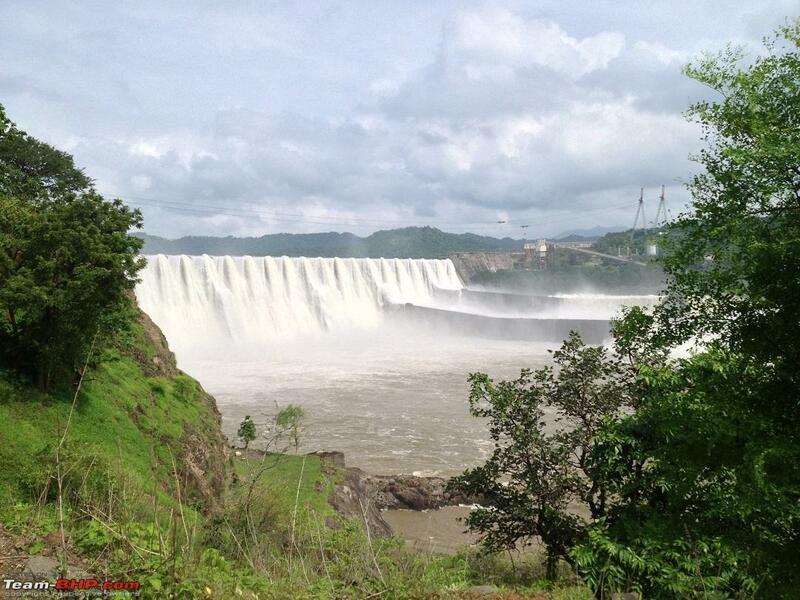 However, there were other attractions like Valley of flowers, Sardar Sarovar dam, Laser show etc. It was already 1845. I had other family commitments waiting at home. I was not possible for me to join other members for the Laser show. I wanted to see lase show. However, I made my mind that I "ll see Laser show during my family trip to SOU. It was time to leave for home. 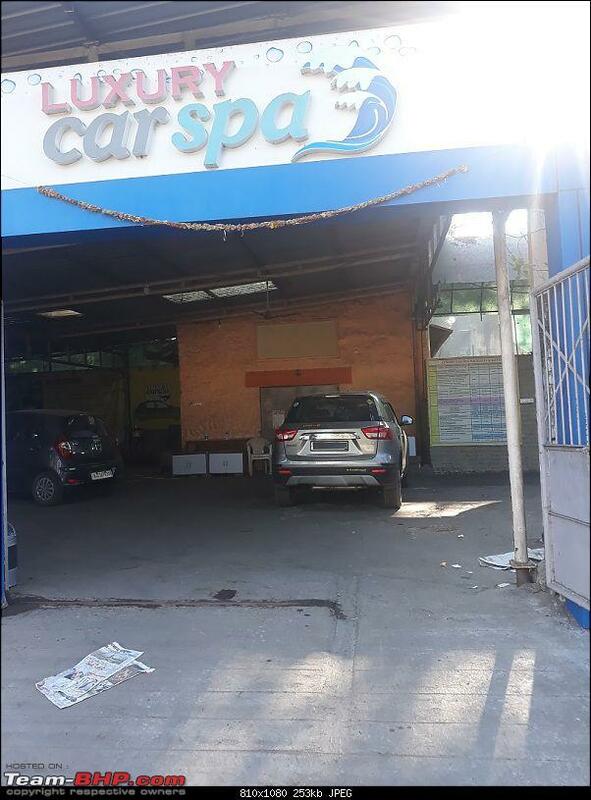 I bid farewell to all the members and caught a bus for the car parking. 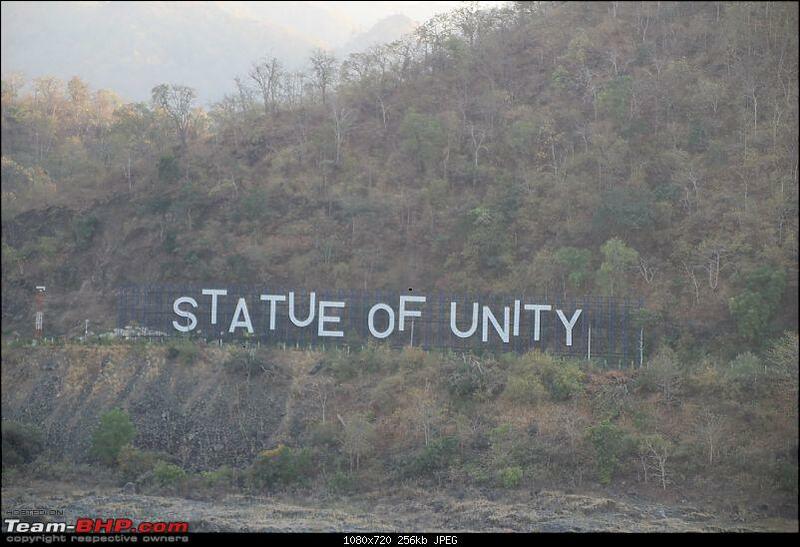 Some last images of the Statue of Unity. Overall, It was a nice one day trip to the Statue of Unity. However, IMO a visit of three to four hour is enough for the Statue of Unity. If you want to include Laser show in your SOU visit, you should club some other destination in your drive for the first half of the day. 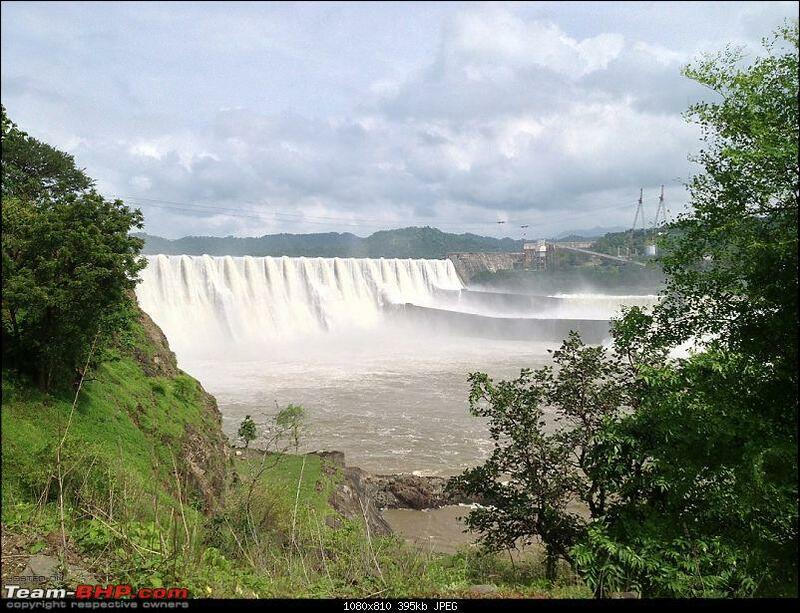 I think a Visit to Zarwani waterfall and Shoolpaneshwar Wildlife Sanctuary can be clubbed with SOU drive. 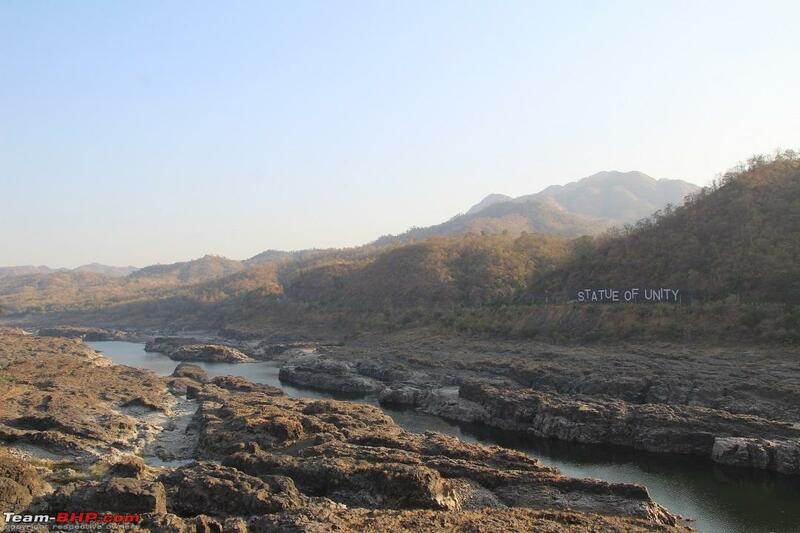 Moreover, IMHO it doesn't make any sense to stay for a night at costly tents at Tent city, Narmada. 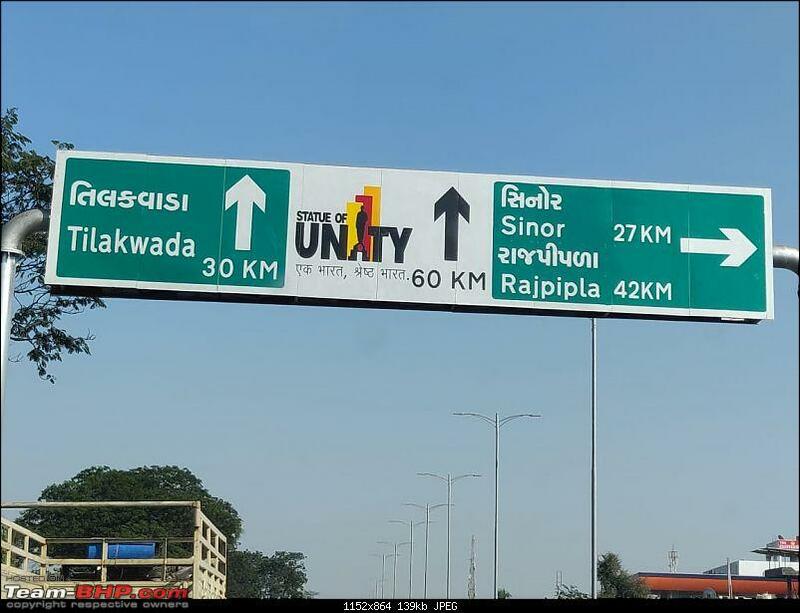 Vadodara is just 80kms far from SOU connected by a superb four-lane road. After a solo drive of 120Km/2.30 hours, I reached home at 2100. 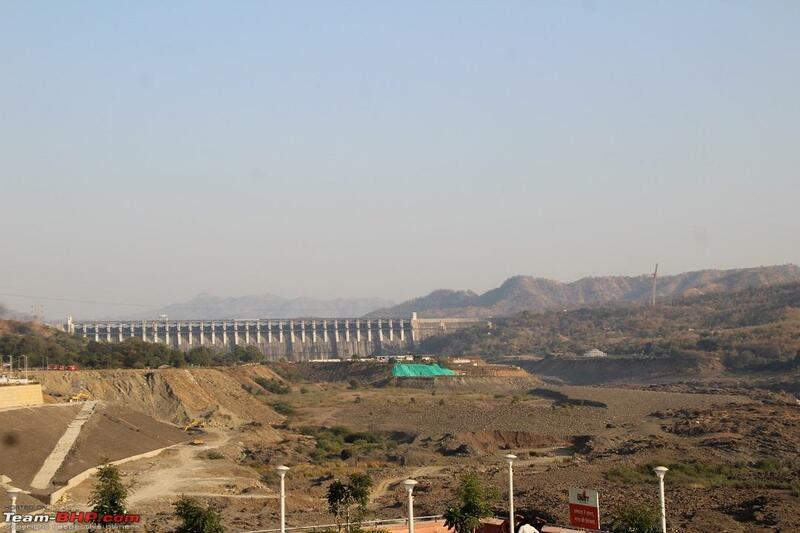 Well another SOU Travelogue got live I am planning a drive soon from Pune and this thread will surely come handy. Nicely written and lovely pics Thanks for sharing ! 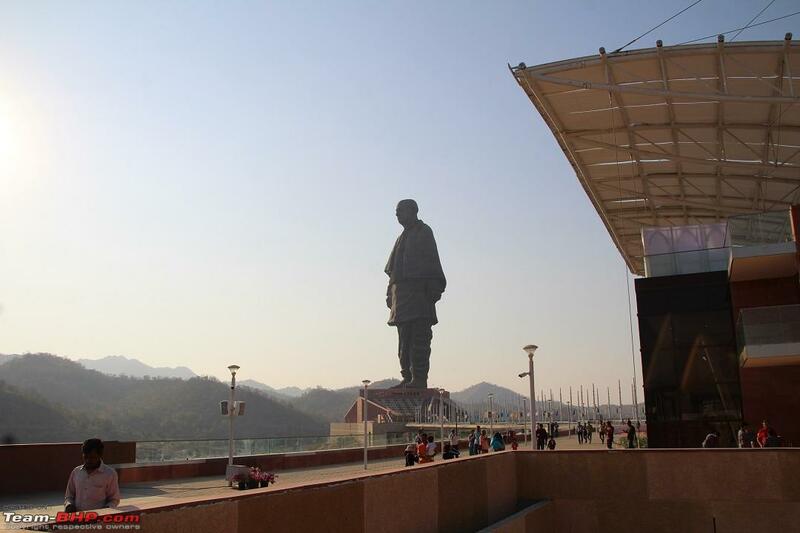 Overall, It was a nice one day trip to the Statue of Unity. 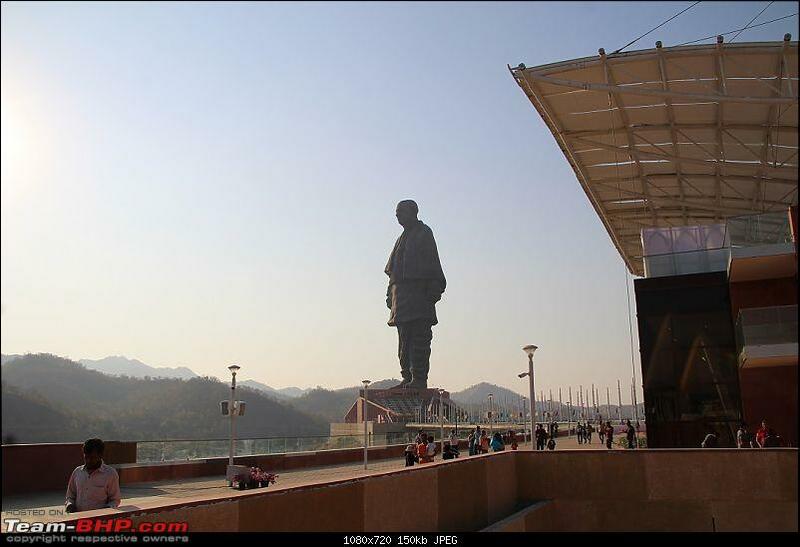 However, IMO a visit of three to four hour is enough for the Statue of Unity. If you want to include Laser show in your SOU visit, you should club some other destination in your drive for the first half of the day. I think a Visit to Zarwani waterfall and Shoolpaneshwar Wildlife Sanctuary can be clubbed with SOU drive. 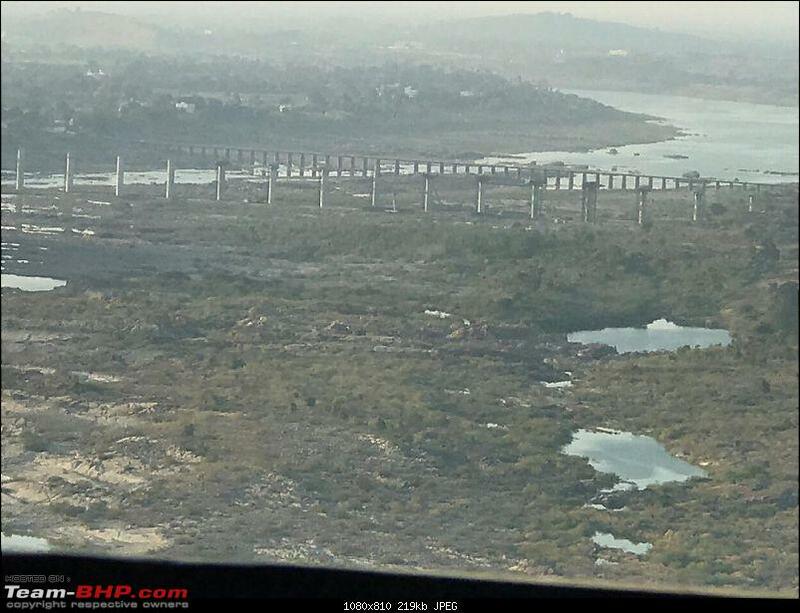 Moreover, IMHO it doesn't make any sense to stay for a night at costly tents at Tent city, Narmada. 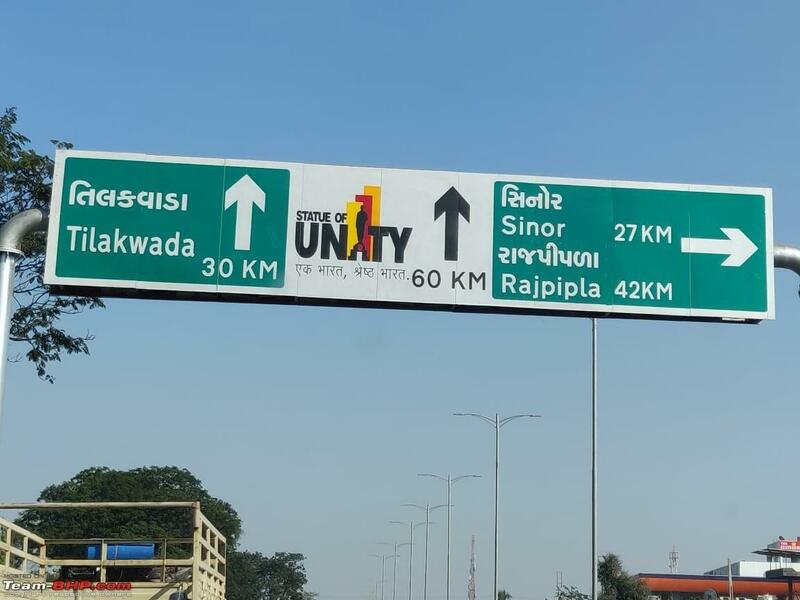 Vadodara is just 80kms ar from SOU connected by a superb four-lane road. 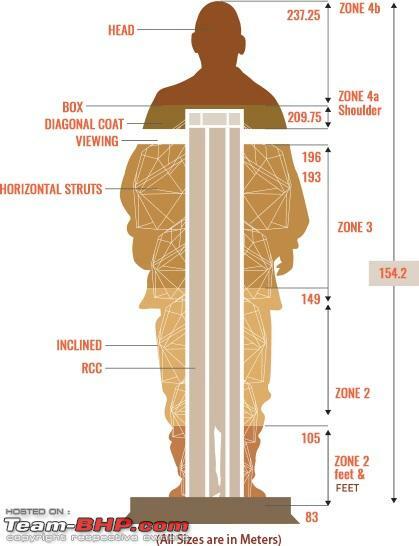 Thanks for sharing such detailed images of the structure. Information packed thread I must say. 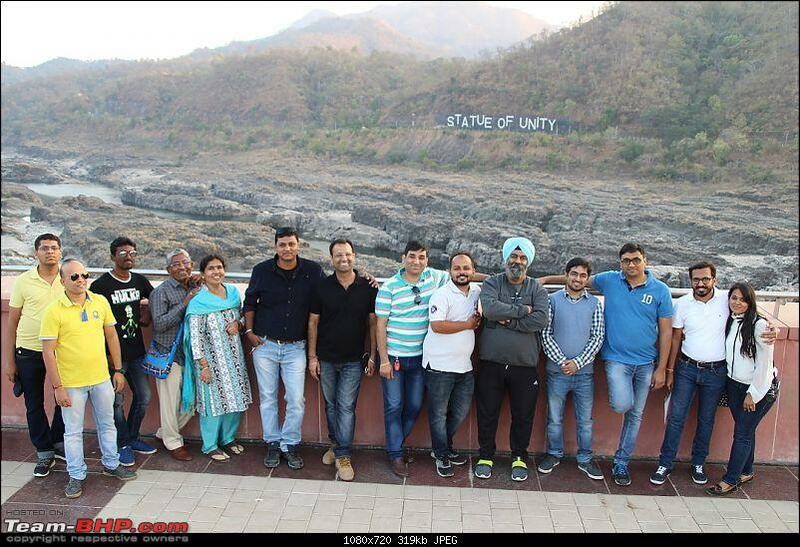 The last part where you summarized the trip was very vital for people like us who stay pretty far off from this part of the country and needs to club few destinations together. Keep travelling and sharing such wonderful experiences. Nicely written and lovely pics Thanks for sharing! 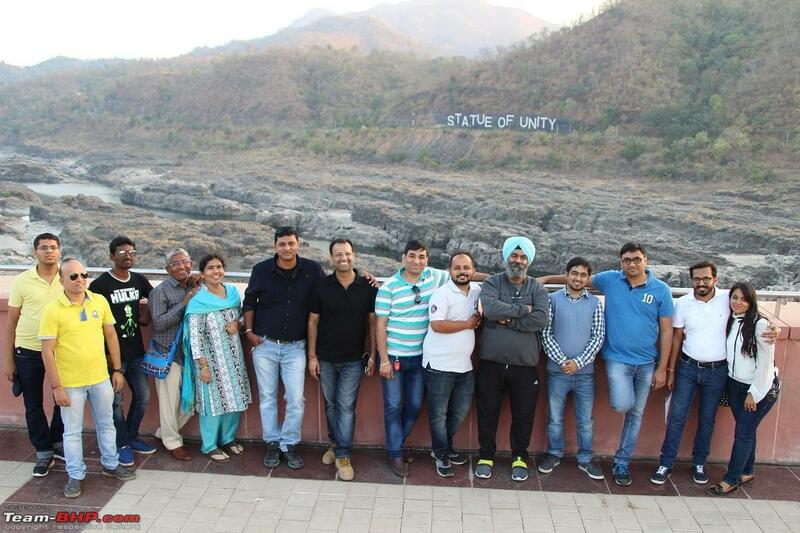 The last part where you summarized the trip was very vital for people like us who stay pretty far off from this part of the country and needs to club few destinations together. I missed the laser show. The laser show is one of the main attraction at SOU. 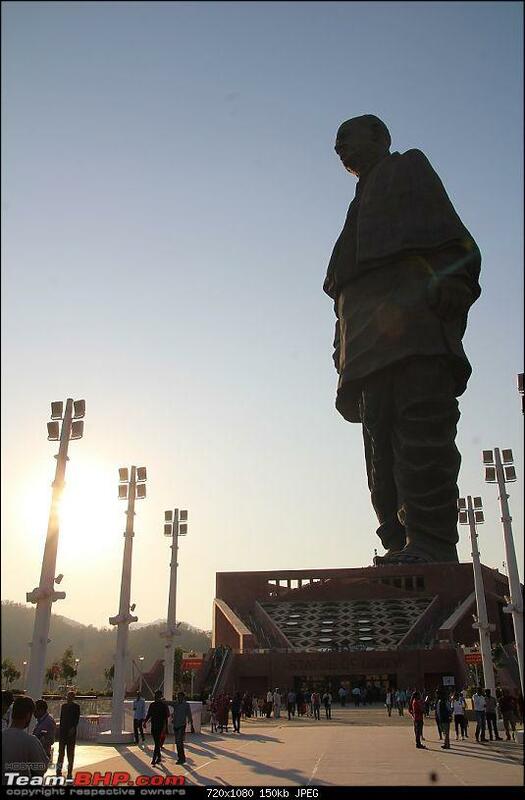 One should not miss it at any cost. However, I am planning to visit SOU again with family. All times are GMT +5.5. The time now is 12:17.